Walking through the places that don’t get valued so much. 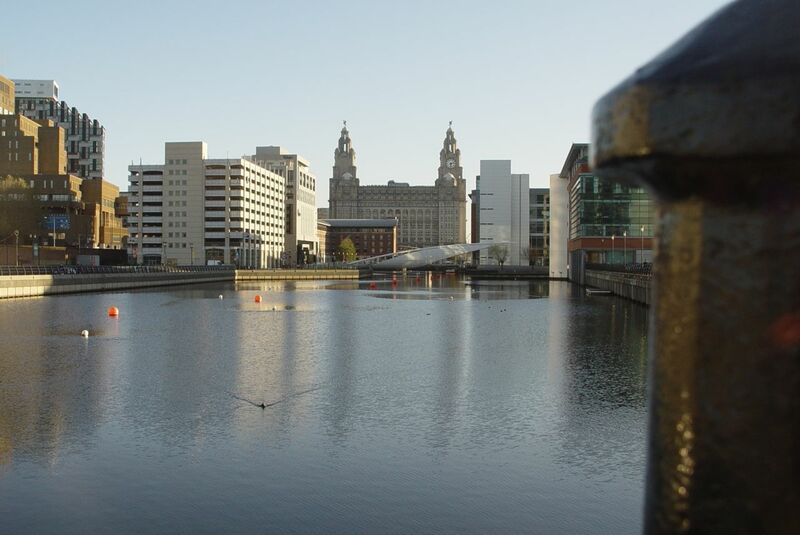 The places where the working classes live and work, including all of the docks to be included in ‘Liverpool Waters’. 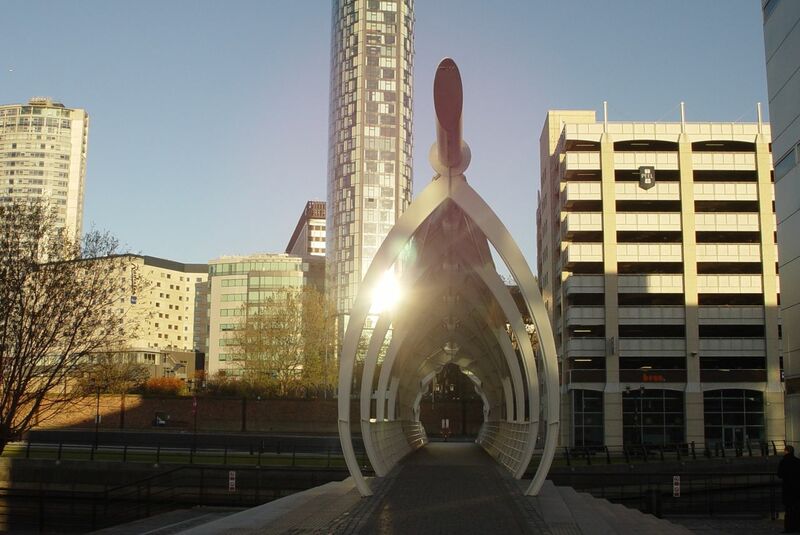 A gloriously sunny November day for a Friday Walk through the past and into the future. Beginning where last week’s South Docks walk finished. 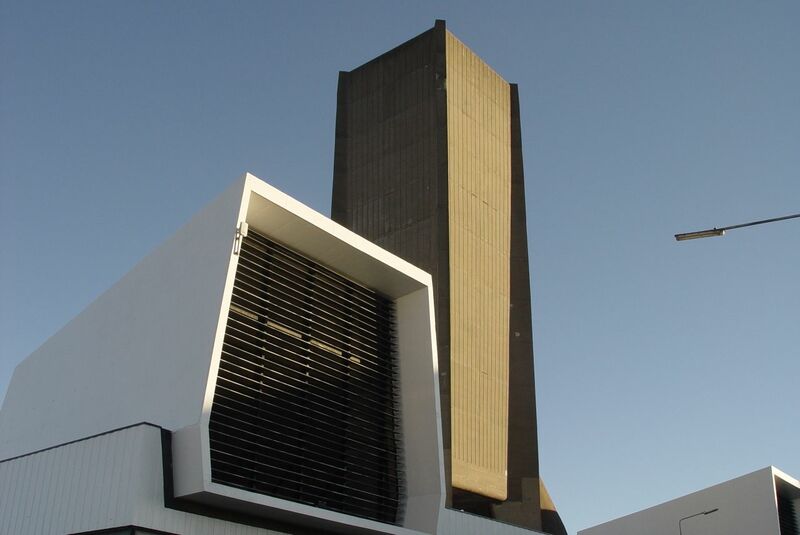 Passing the magnificent ventilation shaft for the Mersey Tunnel. And again doing the walk with hundred year old OS maps. We’ll be back here at the end of the walk for a careful look at Duke’s Dock, at the centre of the map. Through the city’s business district first, imposing returns on Victorian trade, India Buildings. 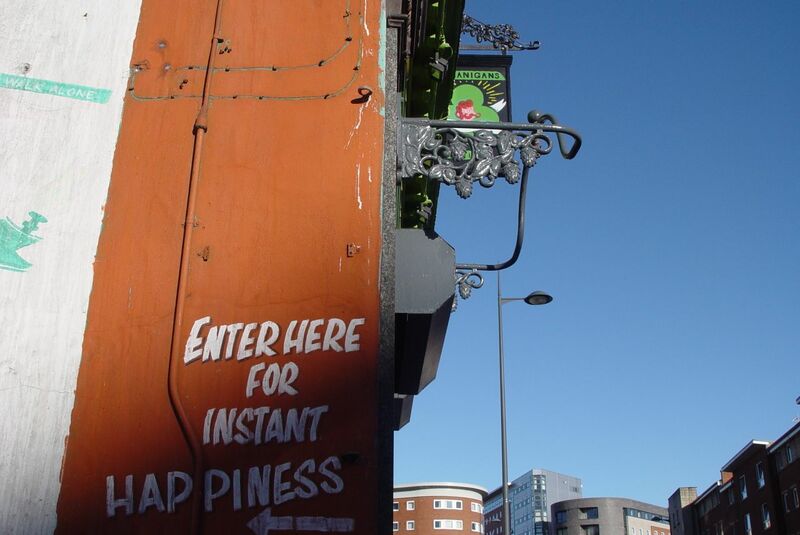 Up Tithebarn Street, past the Shenanigans pub. Round the corner, coming immediately to places where people live. In this walk I want to look at some of the places where the workers lived. 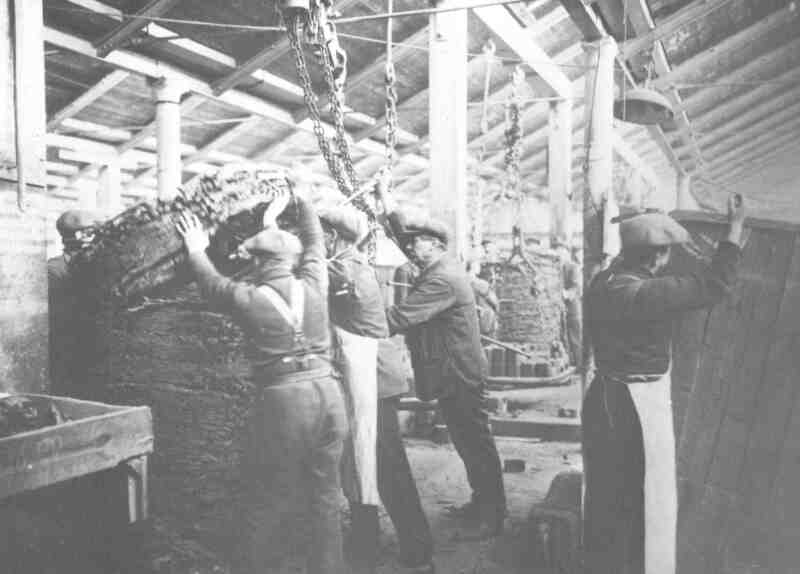 Workers in the docks themselves and also the industries clustered around the docks for their supplies and their exporting. 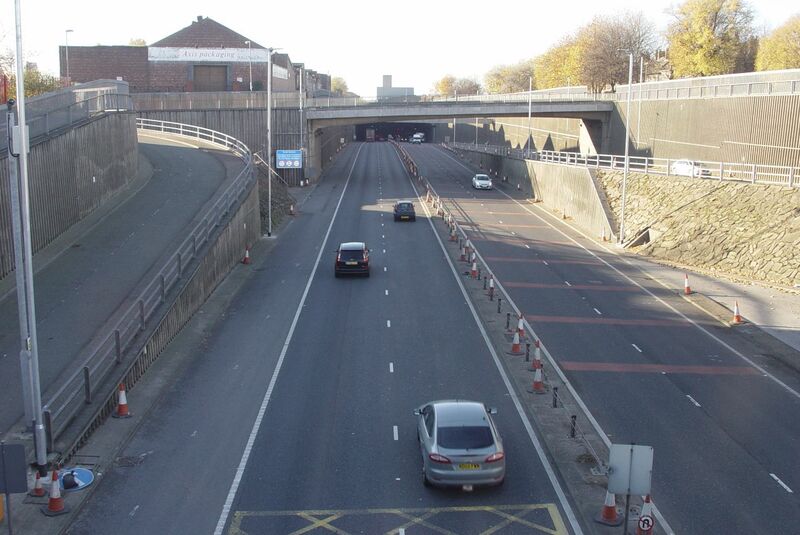 First there’s a tunnel to cross, the Wallasey Tunnel. It’s the way to the Wirral, you’ll recall. Almost immediately after the tunnel is some of the housing I remember from when I worked around here, in the early to mid-1970s for the City Council Housing Department. Lovely then and still lovely now, though the tunnel’s turned it into a cul-de-sac, Summer Seat. 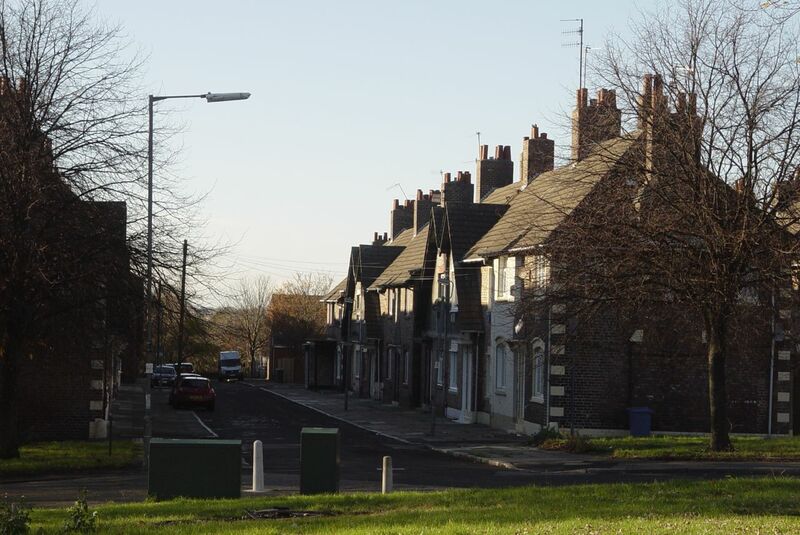 In 1869 Liverpool City Council had built the first council housing in Europe, and by 1911 when they built Summer Seat they were building very high quality houses. The beautiful original drawings for Summer Seat, 1911. 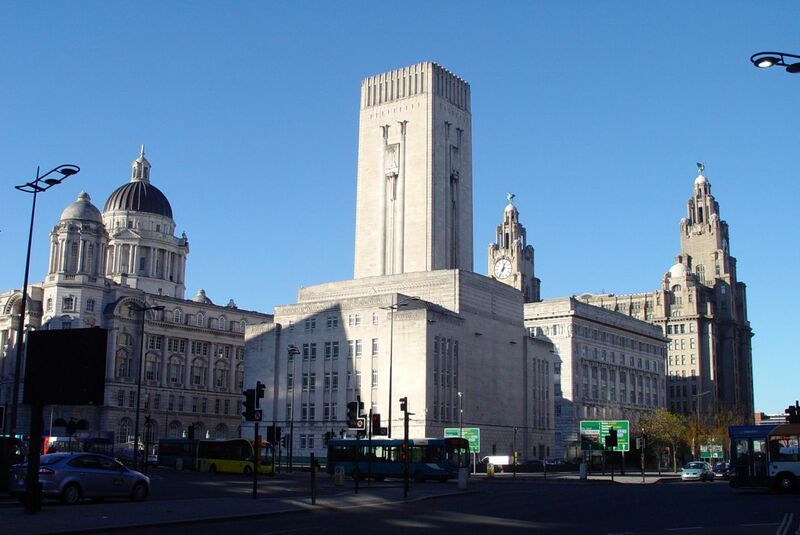 Around the corner, in 1912, the Council did even more to prove that working people deserved splendid places to live. They built Eldon Grove. 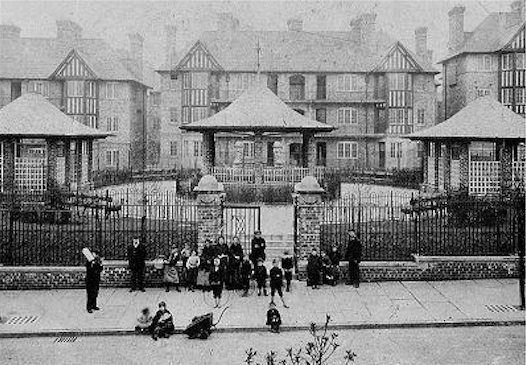 Eldon Grove, Liverpool 3, in 1913. 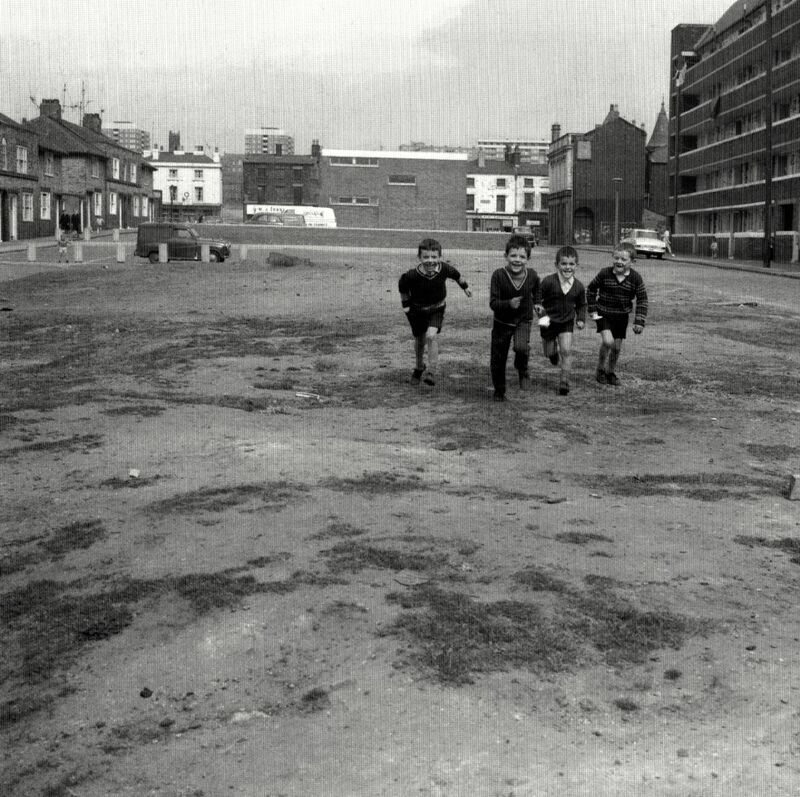 When I worked here the playground had long gone, but the flats were still being lived in. Sadly though, the city’s standards of care had even then slipped from these halcyon days. Now Eldon Grove is in deep trouble. 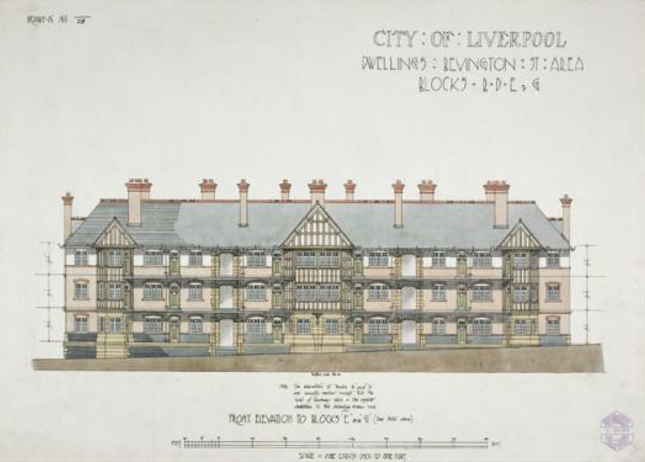 Eldon Grove’s gorgeous 1912 plans. Perhaps these could be used again, early 2014? Since I worked here most of the area has been cleared and replaced with low density housing. Weirdly, much of the new housing has names I recognise. 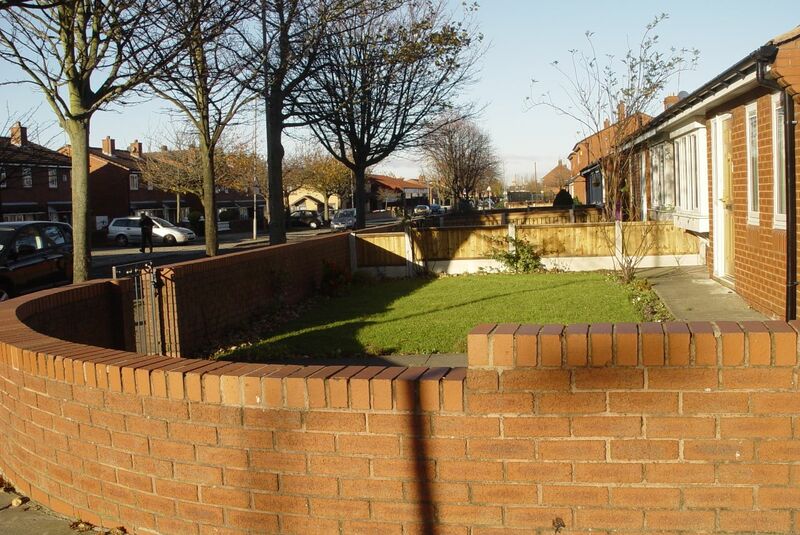 But ‘Burroughs Gardens’ is now a street of bungalows, not the tenement block I remember. 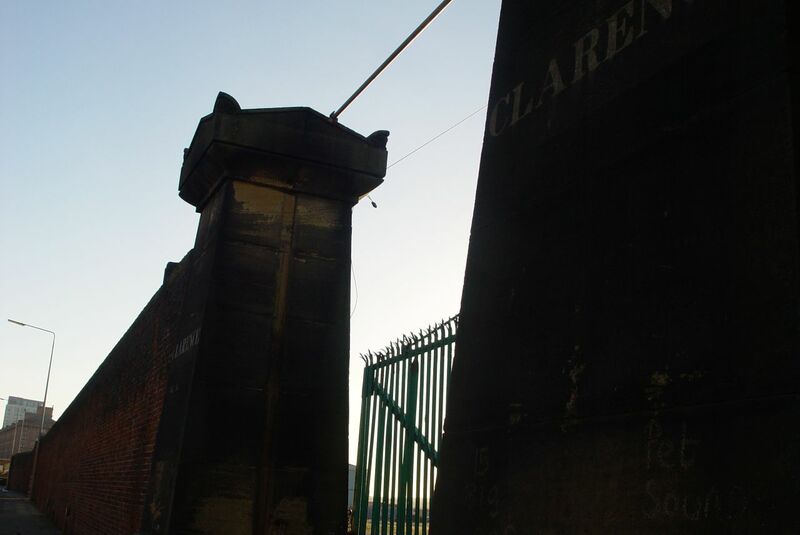 Up on Scotland Road, the main through road, there is just one reminder of the past. 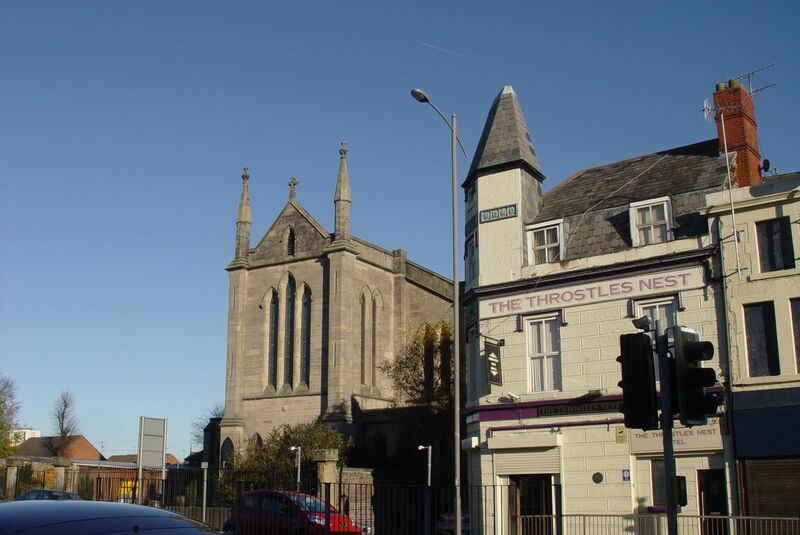 ‘A pub on every corner and a church not far away.’ Now just St Anthony’s and the Throstle’s Nest remain. How it was forty years ago when I worked here. Woodstock Gardens, with St Anthony’s opposite. The brick fortress of an office I worked in was next to Woodstock Gardens. It was a brutally ugly place. About 25 of us worked in there managing 14,000 tenancies. I was 18 when I started working there, arriving as a soft suburban child I grew up very quickly and came to love the area and the people, though not of course the brick shed. 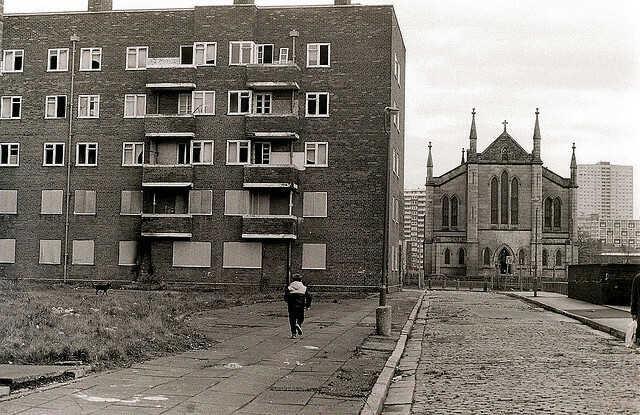 It was here, in Benledi Street, Liverpool 5. Behind these charming children. 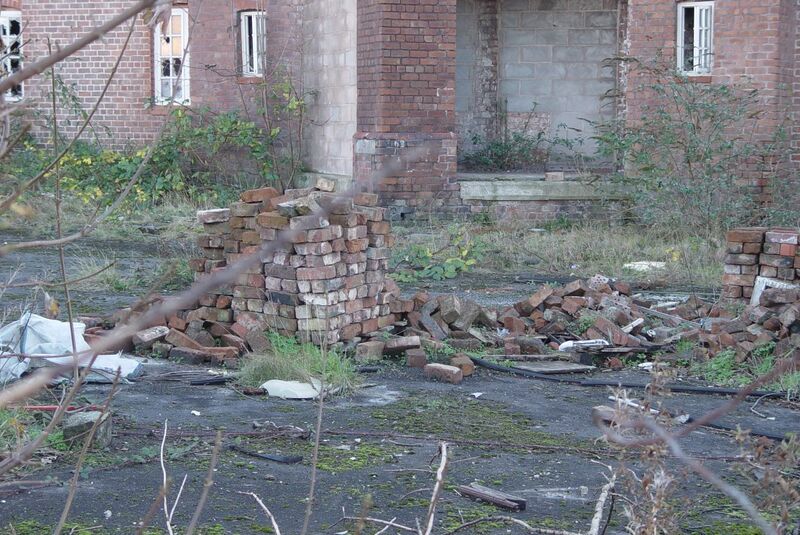 The brick shed that was the Benledi Street Housing Office. I start walking down familiar roads to get from Benledi Street to the docks, but keep getting snarled up in new cul-de-sacs. 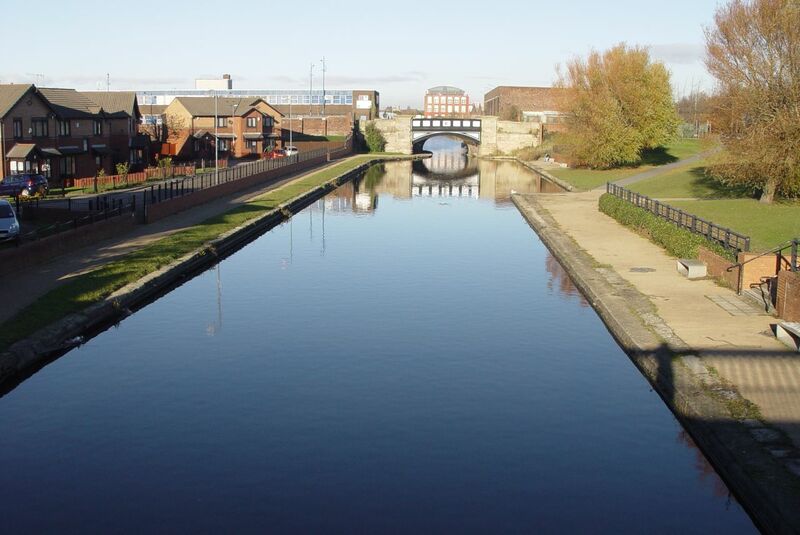 Eventually I find the Leeds and Liverpool Canal. Looking south from this bridge to where Tate & Lyle’s sugar refinery used to be. 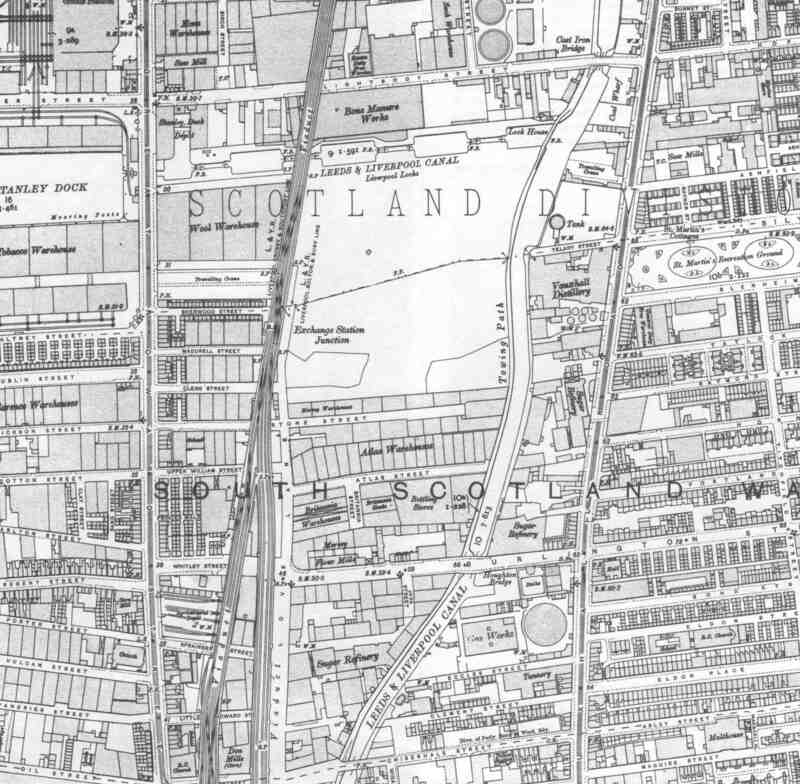 Tate & Lyle, centre-left at the bottom of this 1906 map. It looked like this. 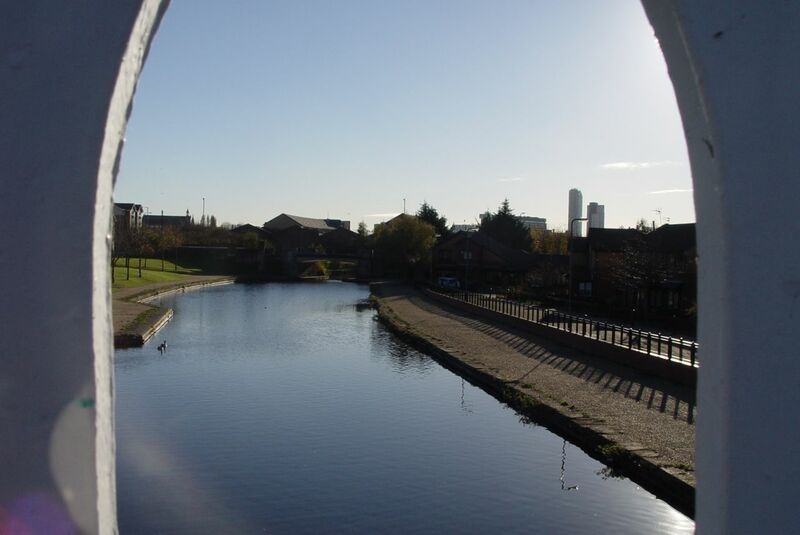 The canal running through the middle of the refinery. 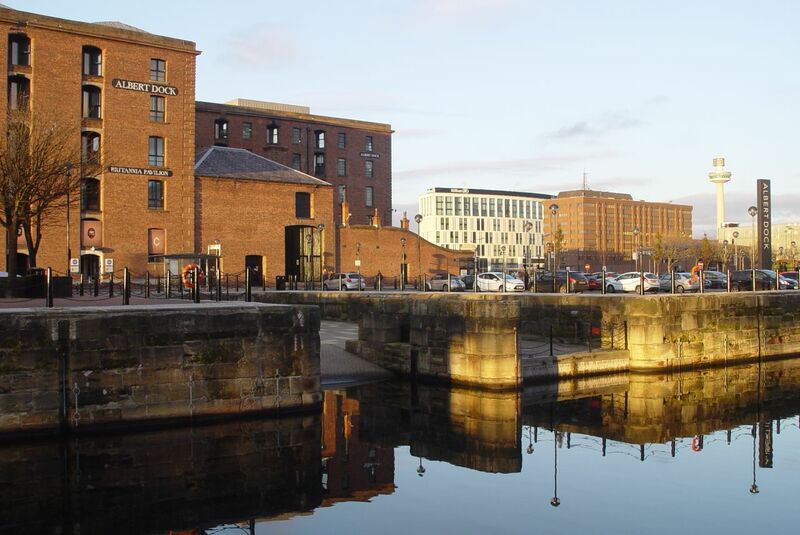 With Britain having joined the European ‘Common Market’ in the 1970s, Liverpool found itself facing the wrong way for much of the country’s new trade. 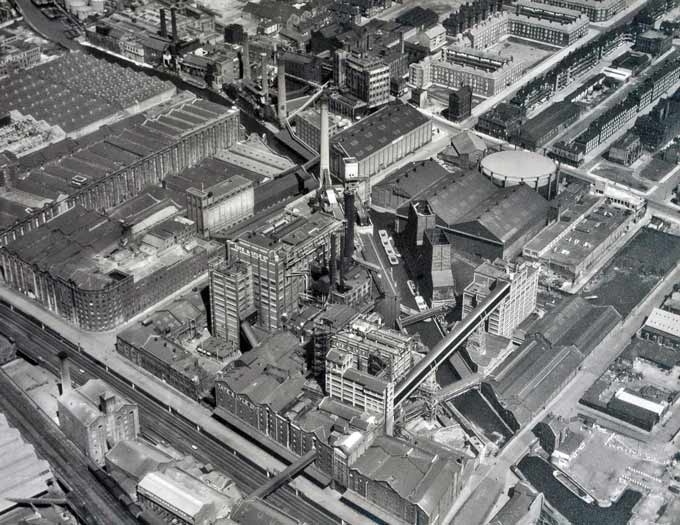 And when Tate & Lyle’s refinery subsequently closed in 1981 8,000 local people lost their jobs and the Vauxhall area was further damaged, having already lost so many jobs from the slow failure of the docks we’re about to see. 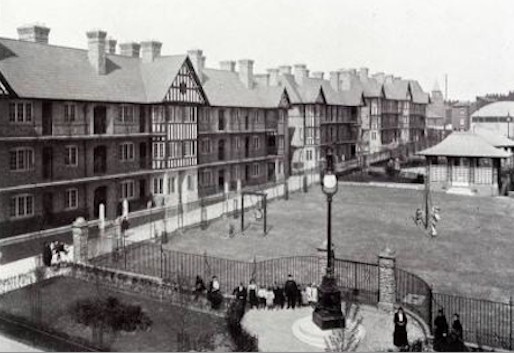 Some of those local people, from places like Portland Gardens (top right of the picture before demolition) went on to campaign for and create their own new homes on the site of the factory and the warehouses that went, the well known Eldonians and also the Vauxhall Housing Co-Op. 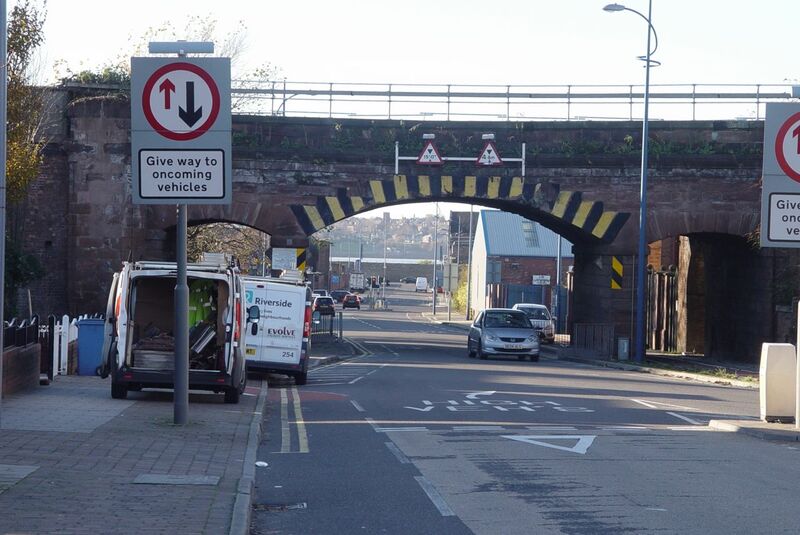 Boundary Street, once the edge of Liverpool, getting close to the North Docks now. The docks all behind this huge wall. Yes, this isn’t going to be like the South Docks walk, all along the riverside. 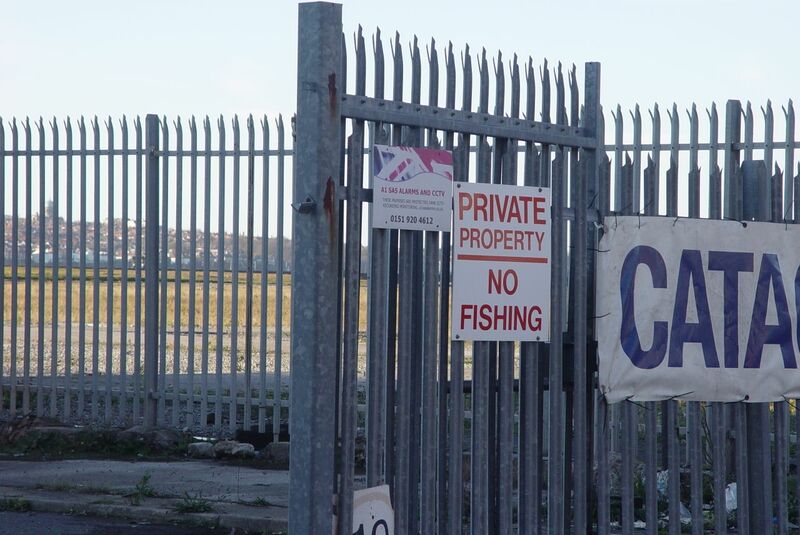 There are gates and fences and prohibitive notices. But I walk in anyway wherever I can. 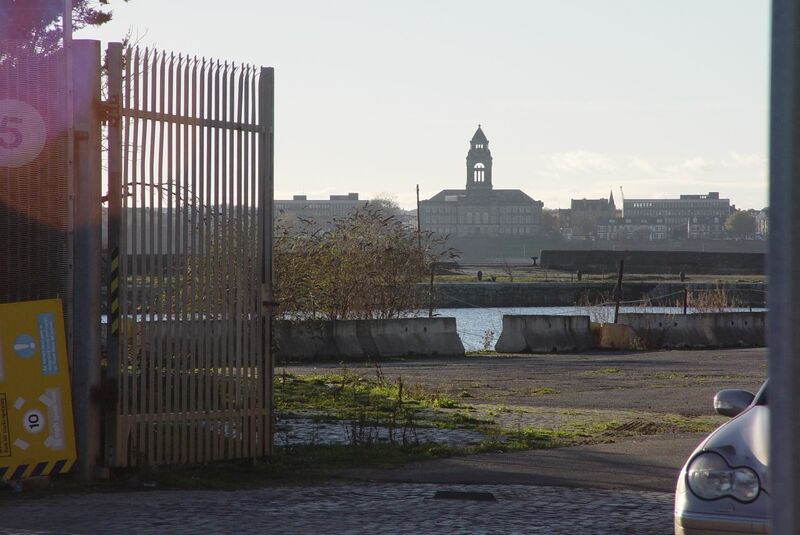 Bramley Moore dock, with Wallasey Town Hall opposite. Where the docks are used at all it’s mostly for storage or light industry, not as docks. 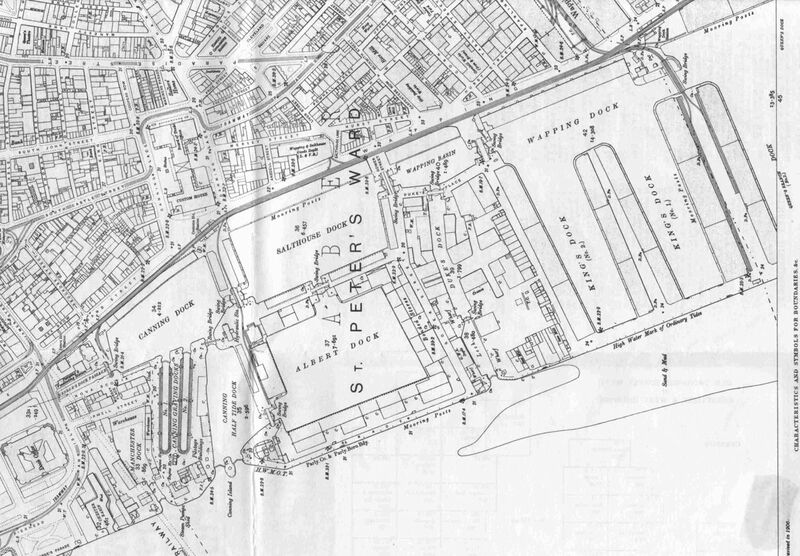 This is Bramley Moore dock, just to the north (left) of this map of the rest of the docks on this walk. So we’re not covering all of the North Docks here. 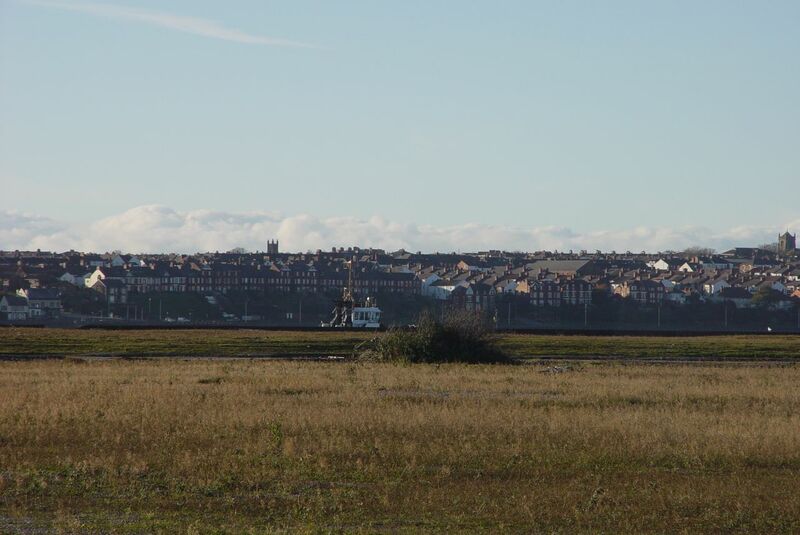 They carry on northwards for another 3 miles until they reach the Port of Liverpool container dock at Seaforth, where most of Liverpool’s dock trade takes place now. 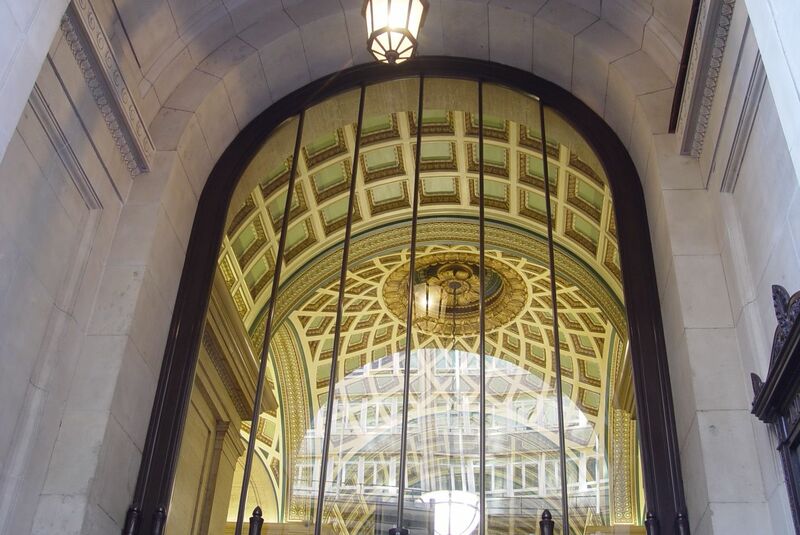 “A mixed use development that will include offices/commercial areas, new homes a cultural centre and visitor attractions with supporting uses, local shops and services. 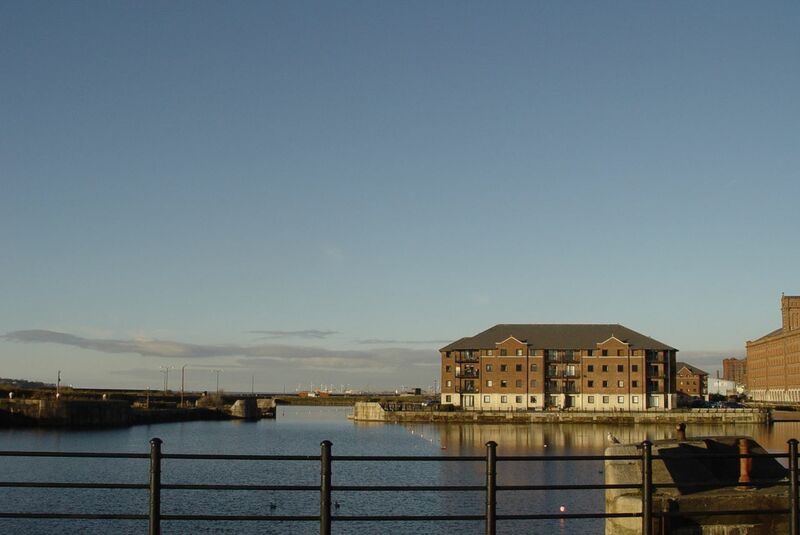 Based on a 30 year programme, Peel’s aspiration is that Liverpool Waters will become home to a substantial workforce and population, delivering many thousands of new jobs and homes. I feel suddenly mortal. 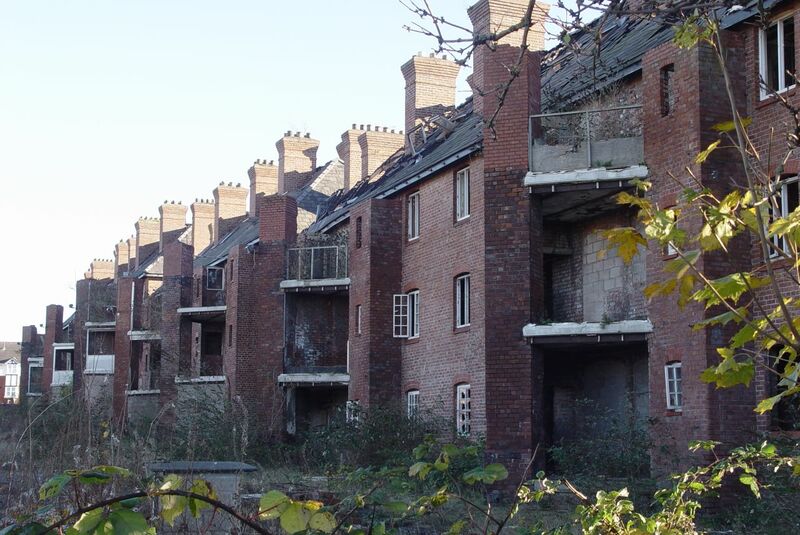 About to walk through a long term regeneration scheme I may well not live to see the end of. 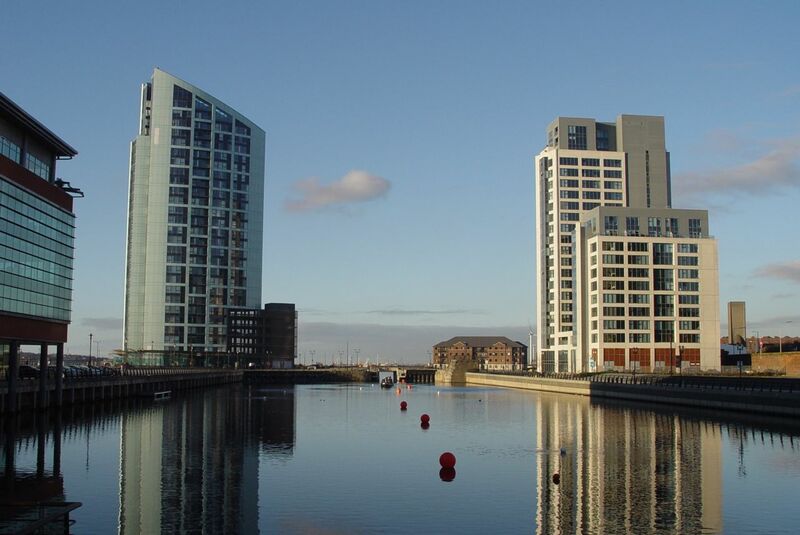 Anyway we’ll see how it might all look when we get to Princes Dock towards the end of the walk. But for now we’re in the late days of these docks in their current state. 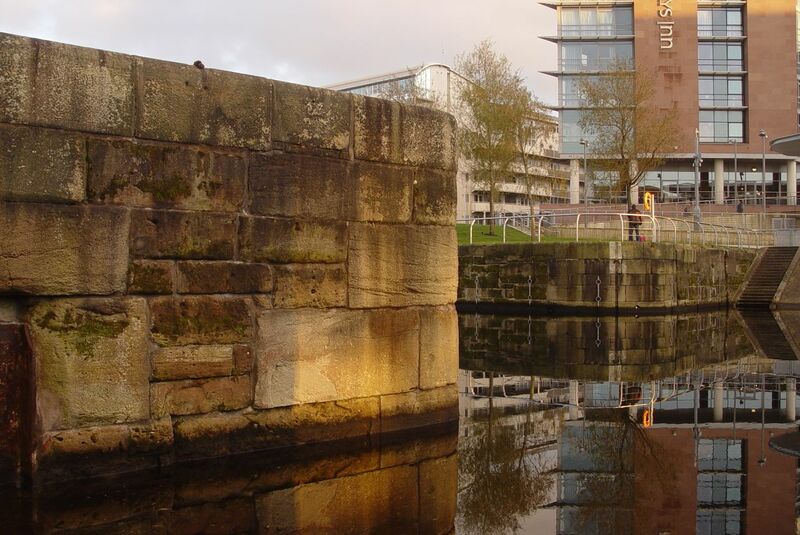 The Salisbury Dock, designed, early to mid 19th century, like most of what we’ll see, by Jesse Hartley. 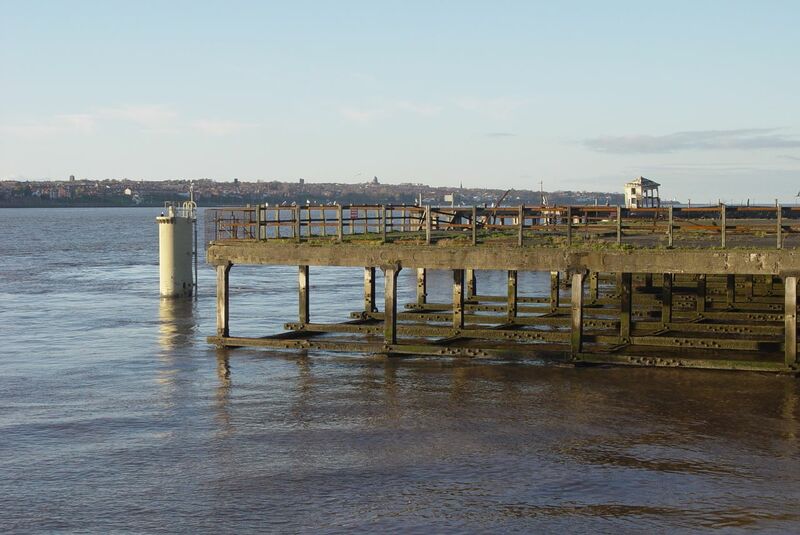 These docks close to the city centre have been more or less disused for most of my life. Just after trading had stopped, in the mid-1960s, me and my Dad would come and walk around them. Walking around in his own childhood memories. This is where he was born. 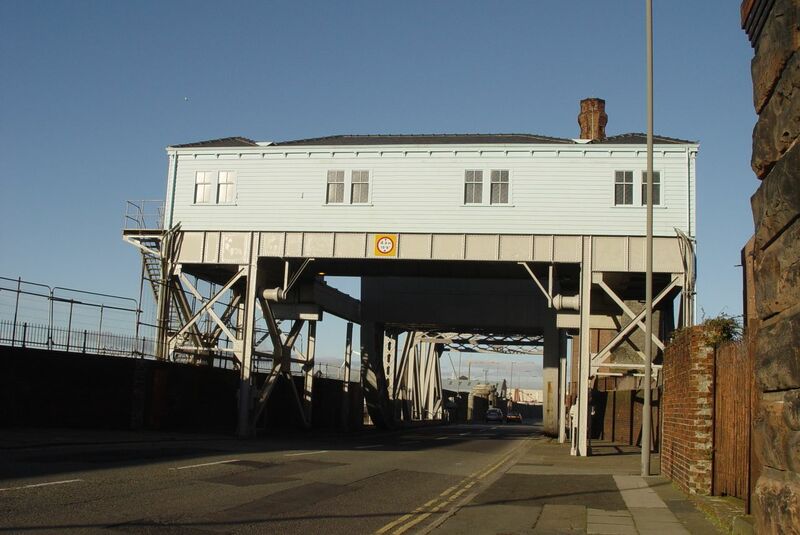 In fact in my own mind I always thought of my Dad as having grown up living in here, the Bascule Bridge. Because whenever we drove across it he’d tell us stories of being a boy here. Running errands, collecting horse dung to burn on the fire, falling in the canal. 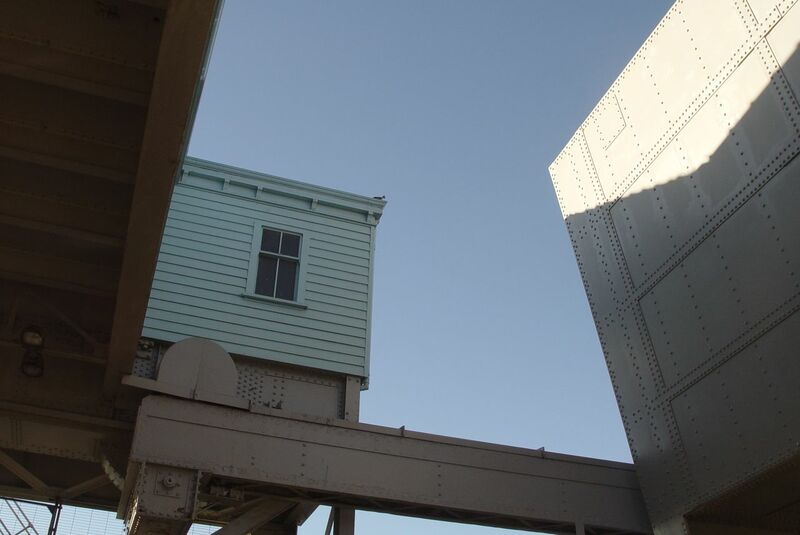 In fact he was born close to the bridge, on the right there, in a long gone shared house. A family on each floor. ‘Luxury,’ as they say. 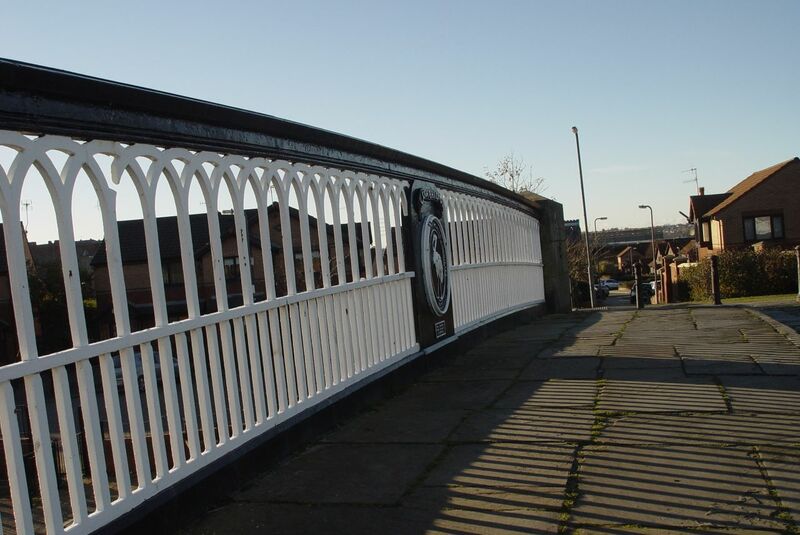 Peel have recently renovated the bridge, so it’s looking better than I’ve ever seen it. 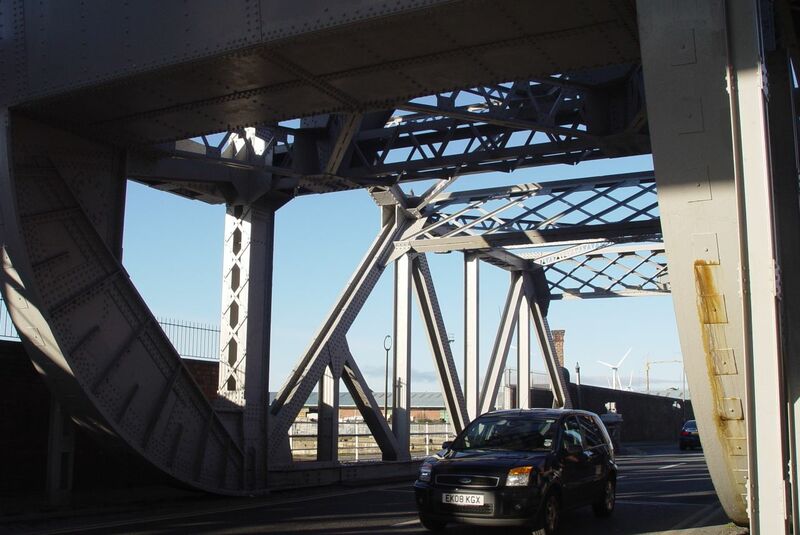 Though it’s not a working swing-bridge any more. If you’re curious about how it worked, there’s as much as you could ever wish to know at this Urbexforums link. 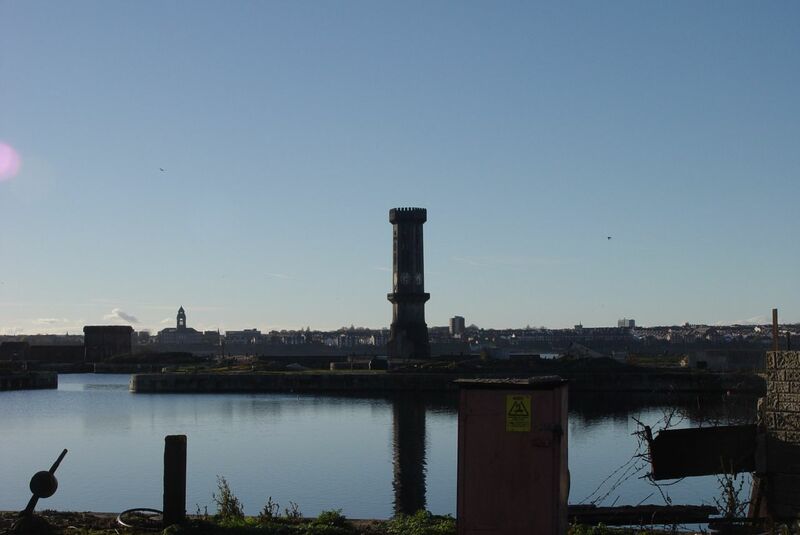 Next is the mighty Stanley Dock. 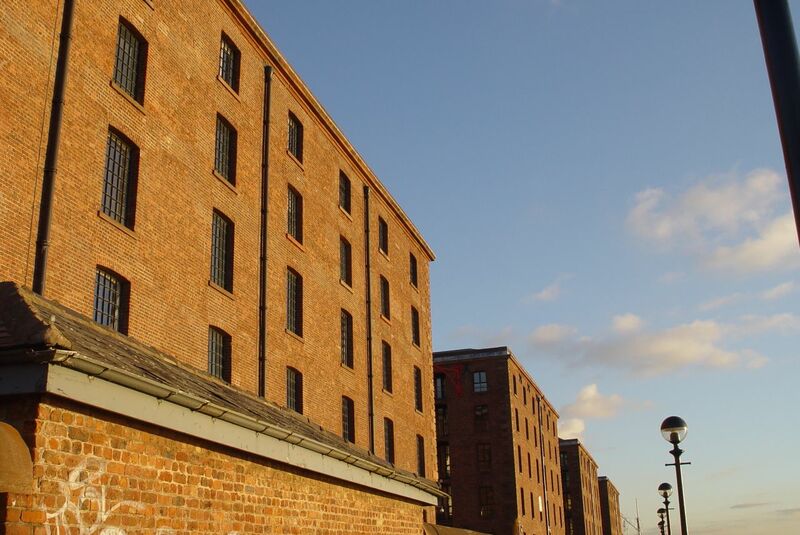 The world’s largest brick warehouse. That’s 27 million bricks you’re looking at here. 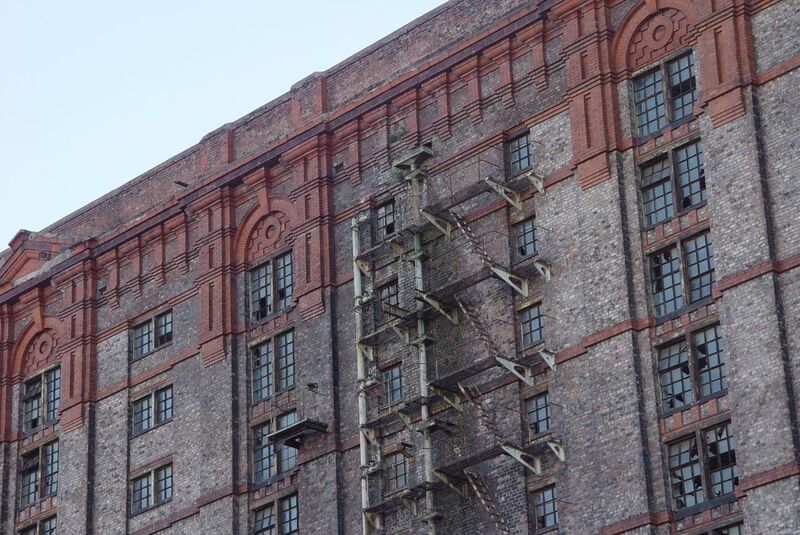 It was a tobacco warehouse. Working inside on the tobacco, 1920s. These days it’s used as much for films as anything else. 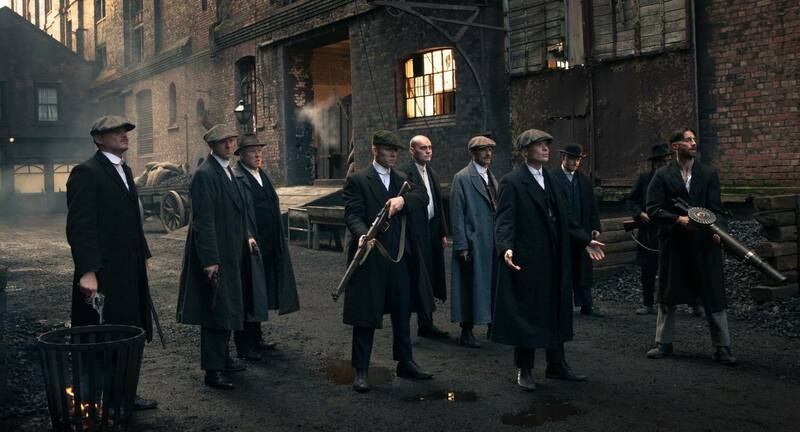 The Peaky Blinders at Stanley Dock. 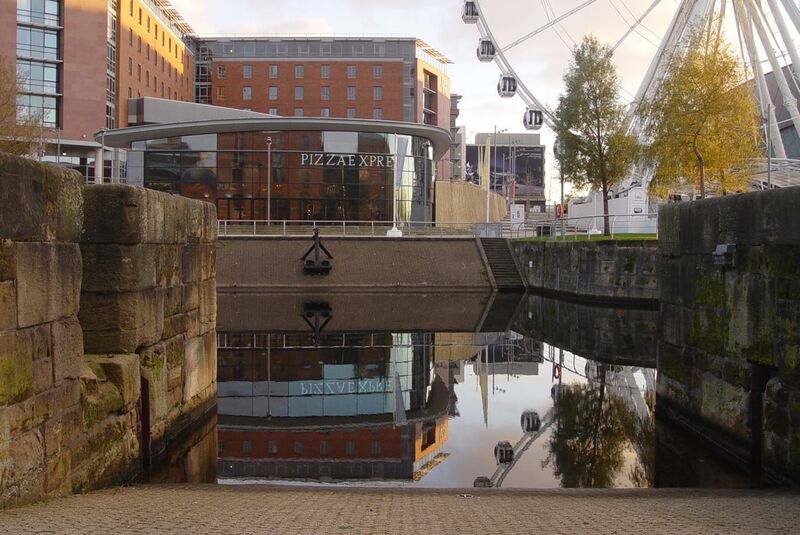 Walking on and arriving at Clarence Dock. 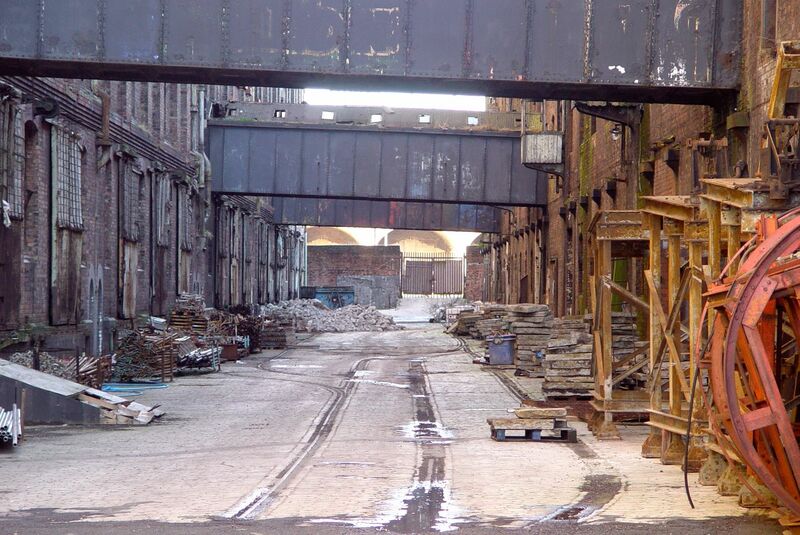 Like last week at Wapping, finding a bit of steelwork from the Liverpool Overhead Railway in the dock wall. There was an Overhead station here, until it was demolished in 1957. 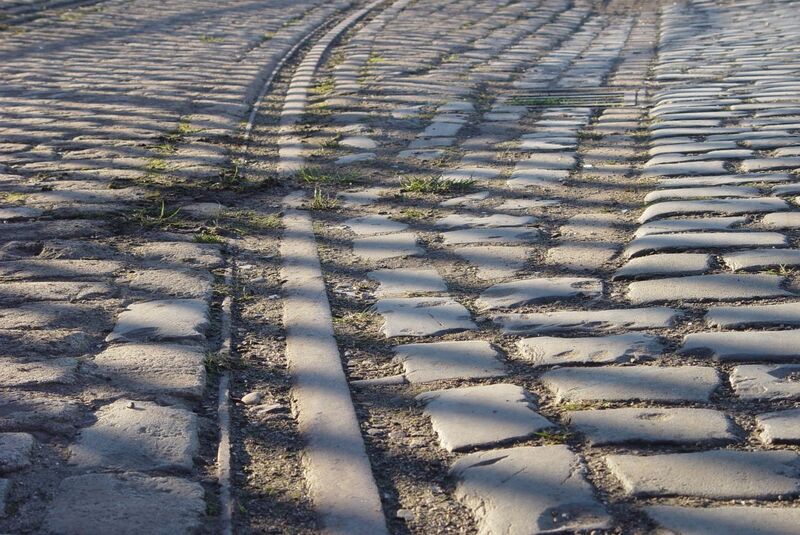 Rails in the cobbles. 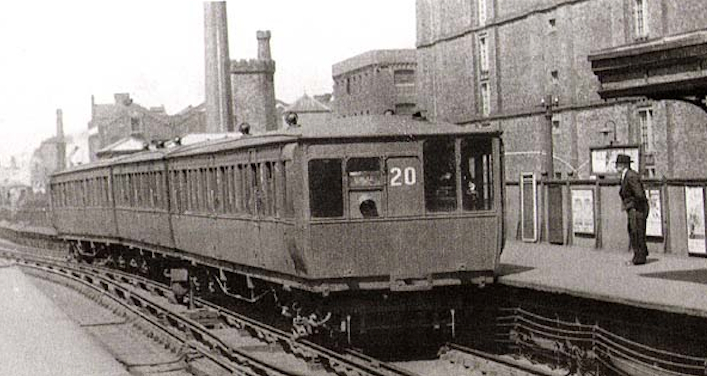 From the long gone dockyards railway. And this is where I came in, my ancestors anyway. 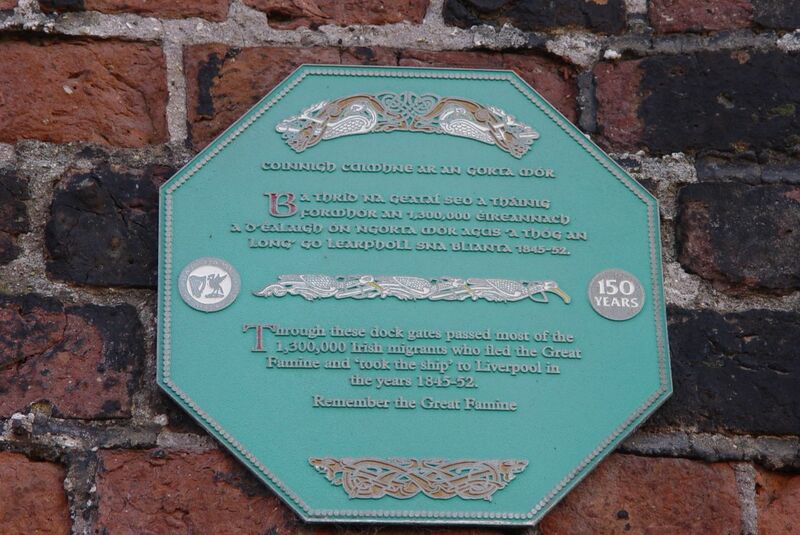 “Through these dock gates passed most of the 1,300,000 Irish migrants who fled the Great Famine and ‘took the ship’ to Liverpool in the years 1845-52. So I pause and I also remember it was only the potato crop that failed. The other crops they could have eaten were exported to England. 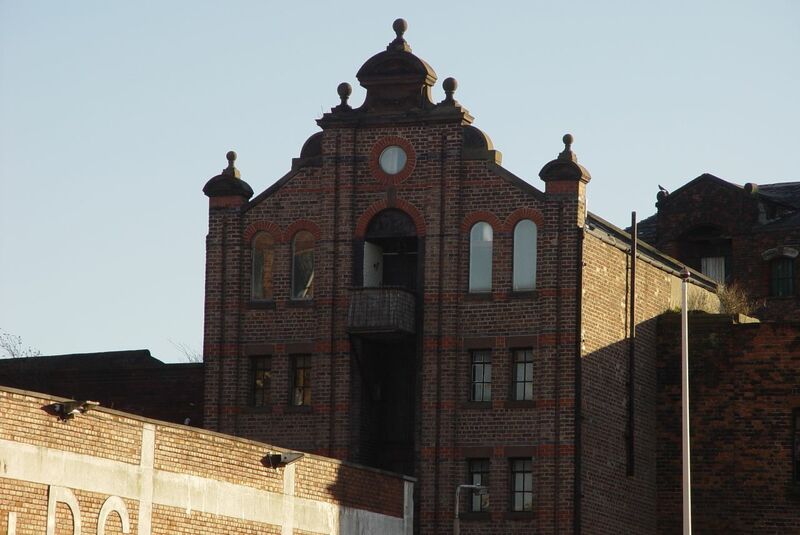 A beautiful Victorian warehouse on the Dock Road. 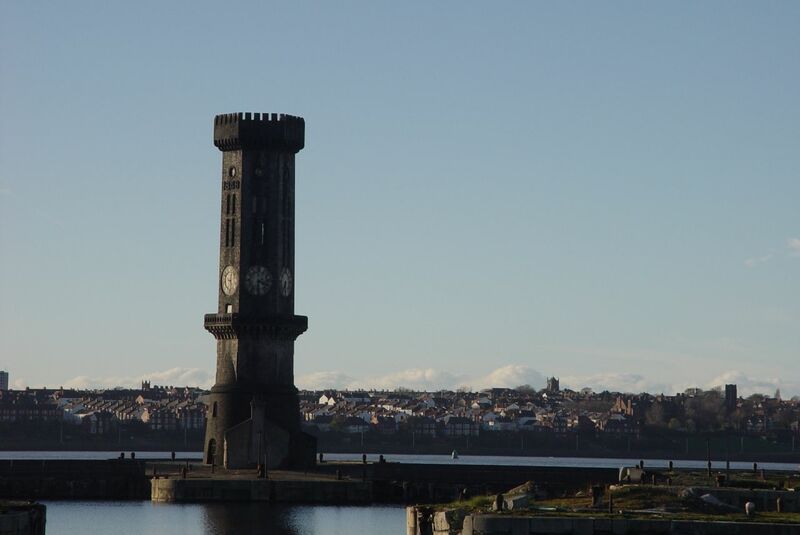 Looking across the Trafalgar and Victoria Docks to Wallasey. 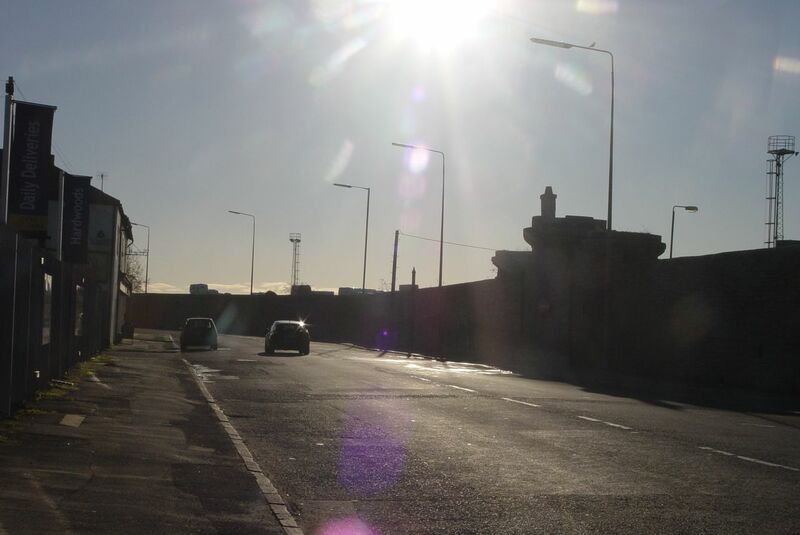 Past this ventilation shaft for the ‘new’ tunnel – as we call the Wallasey one, opened in the early 1970s. 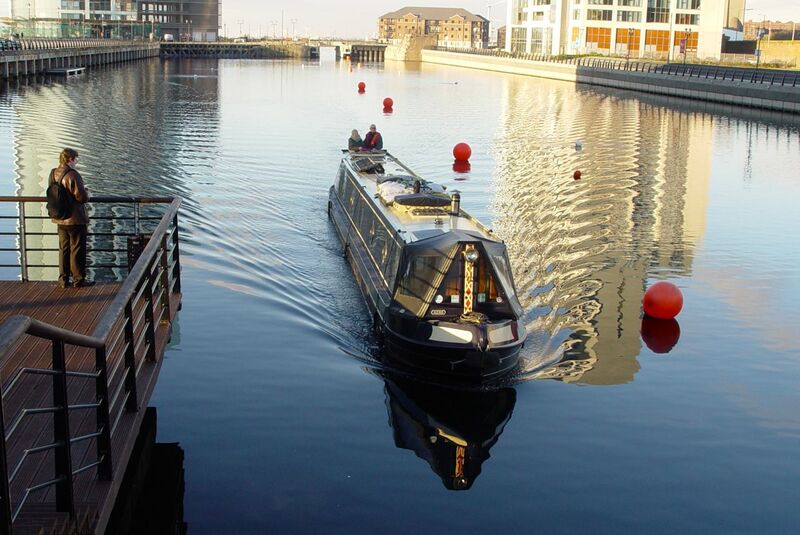 And finally, at Waterloo dock, there is proper access to the docks and the riverside. 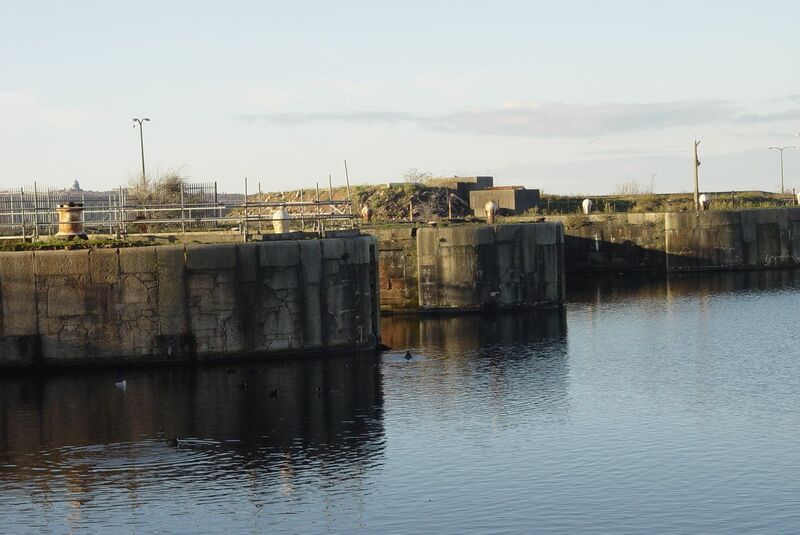 The locks at the Princes Half-Tide dock. 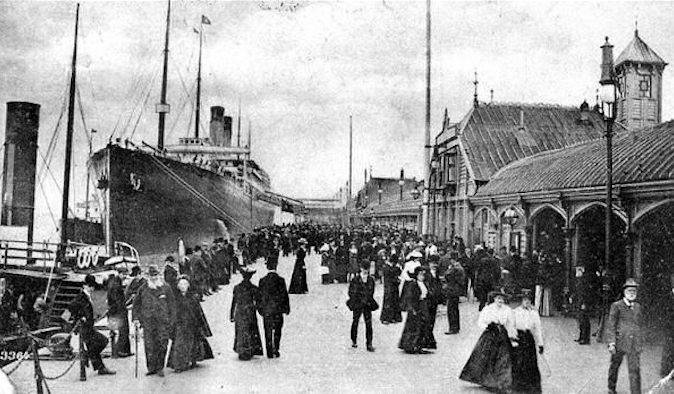 Elegantly wasted, on the Princes Landing Stage. And here we leave the past, for now. 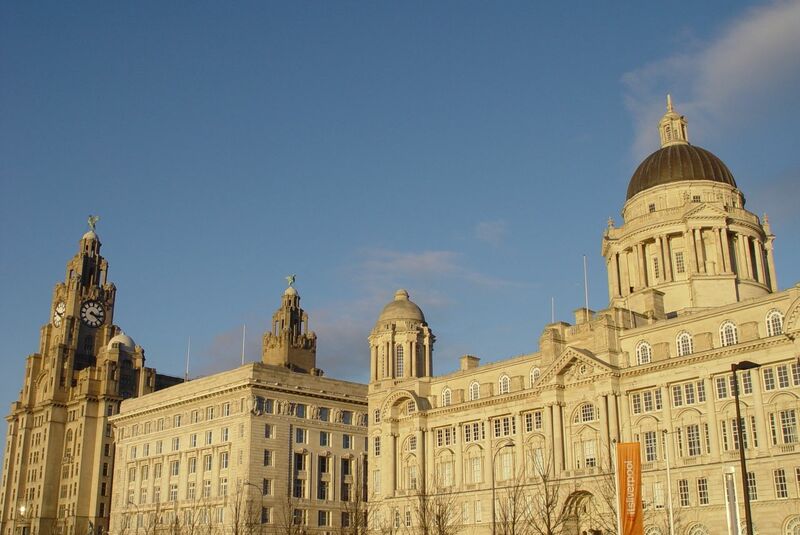 Turning to look towards the Liver Buildings and see how Liverpool Waters is shaping up so far. Well, there are offices, hotels and a tower block of expensive apartments so far. No feel of community though. I go into the place’s only ‘convenience store’ looking for a sandwich. ‘No, we don’t do them.’ It all feels a bit corporate and lifeless. 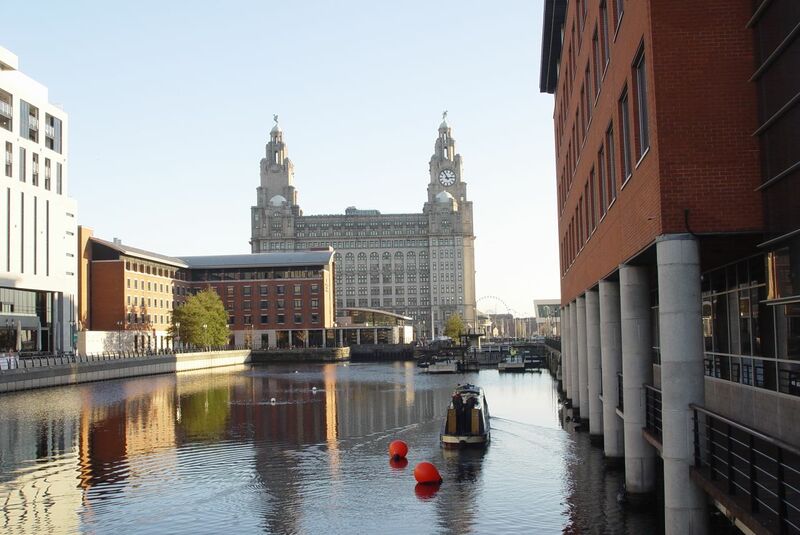 So there’ll need to be some determined work done if real people and real life is to flourish as Liverpool Waters develops. 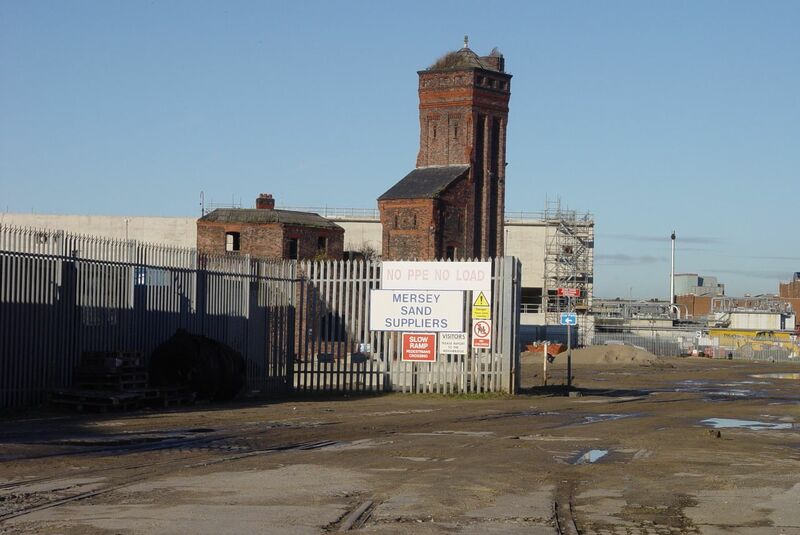 And obviously the North Docks can’t carry on being increasingly fragile and forlorn museum pieces. But aren’t they magnificent? Full of ghosts and stories of the people who queued at those gates for their work every day. Stories that need telling. Go and visit their places soon while you still can. 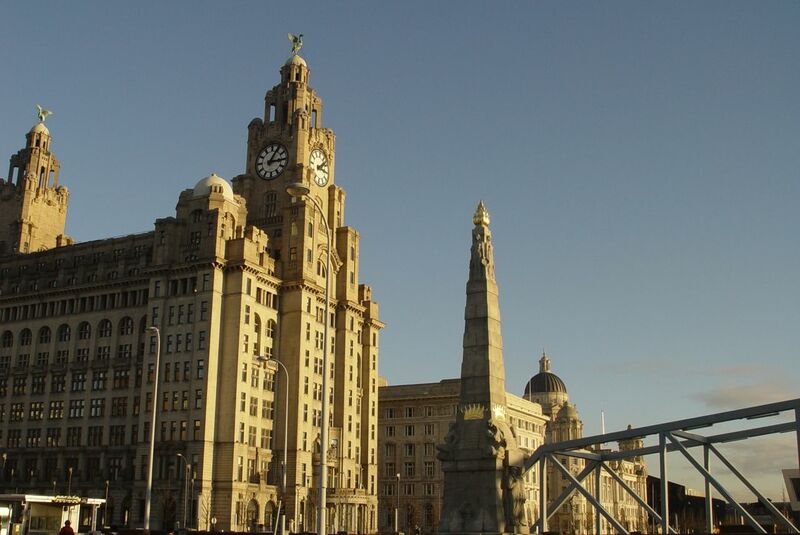 To the Liver Buildings and the Titanic memorial to the Liverpool engineers who worked in its engine room. 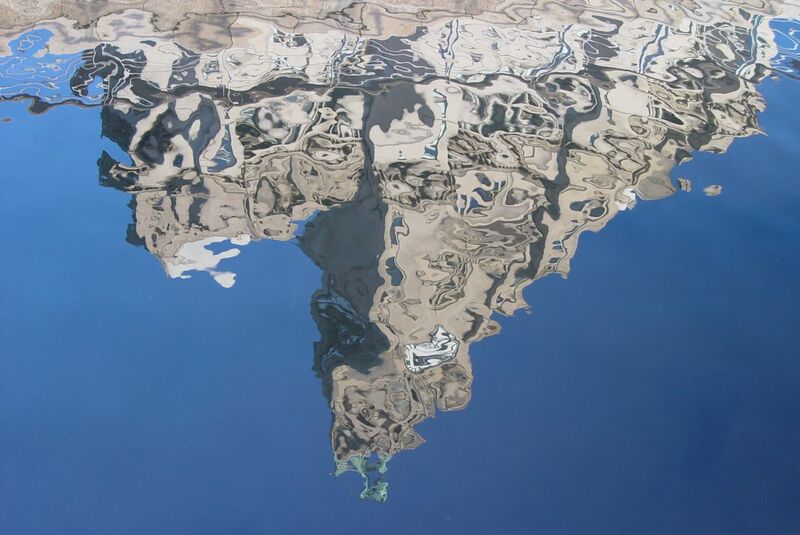 The Liver Building refracted in the water of the new Leeds and Liverpool canal extension. 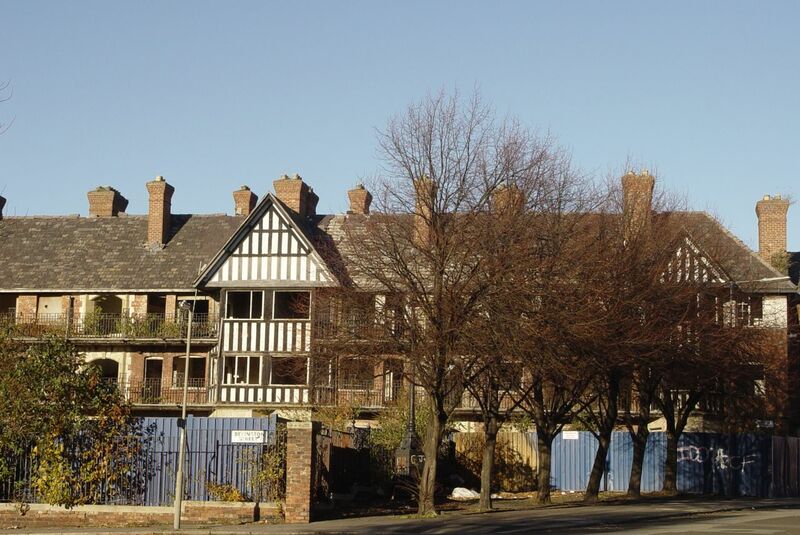 Unlike Eldon Grove and the North Docks, some buildings always do get on heritage trails. 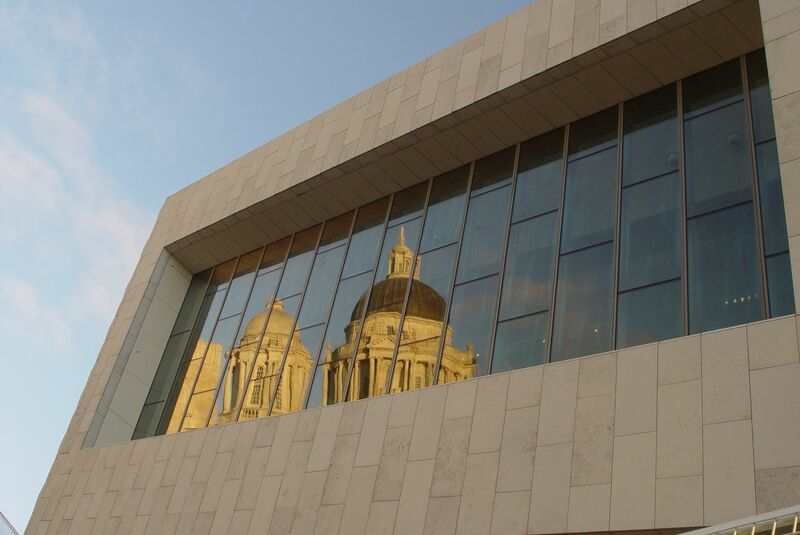 Past the Museum of Liverpool. And back to where the walk started. But before the light goes I want to show you one more thing – that isn’t here. 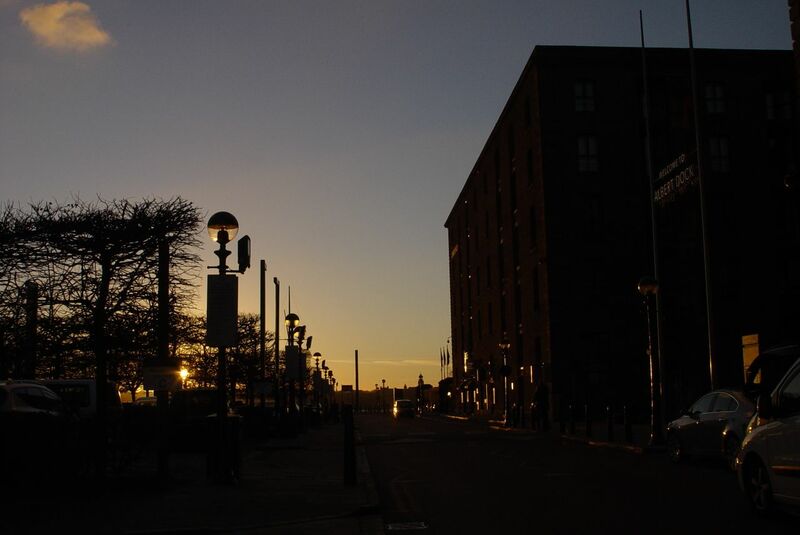 Past the front of the Albert Dock. 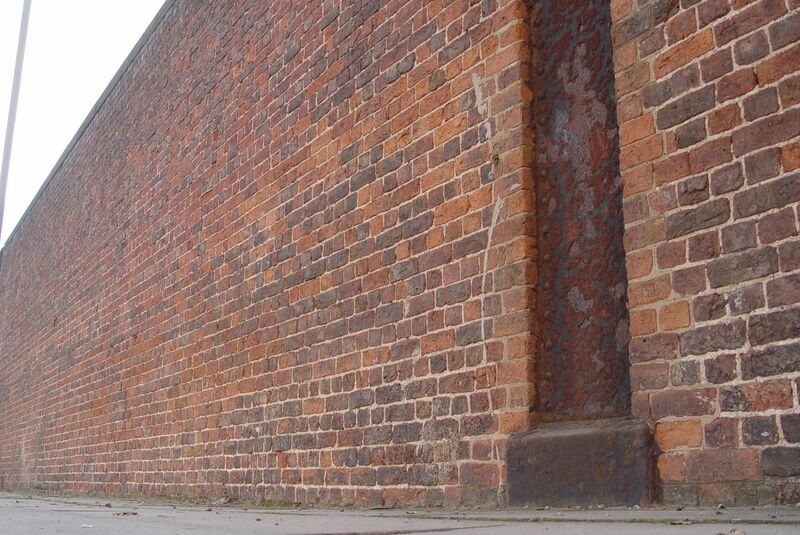 For many years after the Albert Dock was renovated in the mid-1980s I wondered what these strange indents in the dock wall were for. Were they old, or new maybe? Something to do with getting craft into the water maybe? Whatever, I never saw them used for anything. 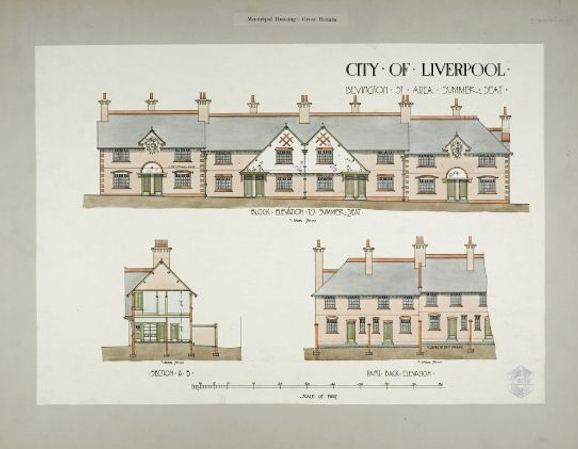 Then I saw these photographs in ‘Seaport’ – my favourite Liverpool book, written by architect Quentin Hughes in 1963. 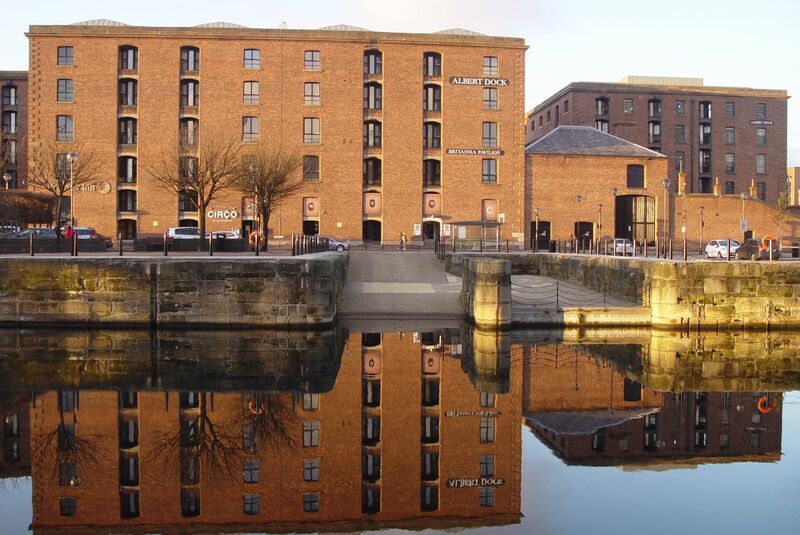 The Duke’s Dock warehouse. 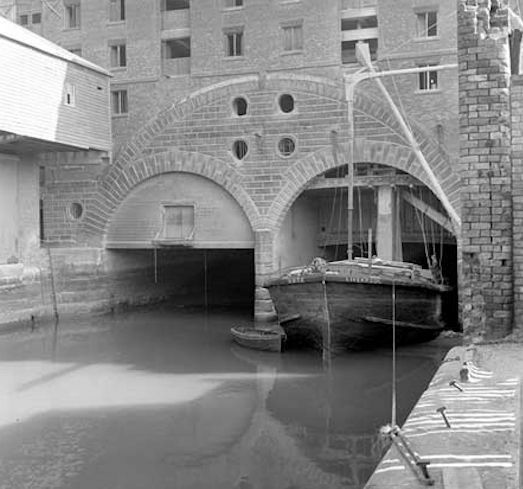 Built in 1811, long before the Albert Dock, photographed in 1963. And here are the ‘indents’ I’d been wondering about. The ‘Duke’ was the Duke of Bridgwater. 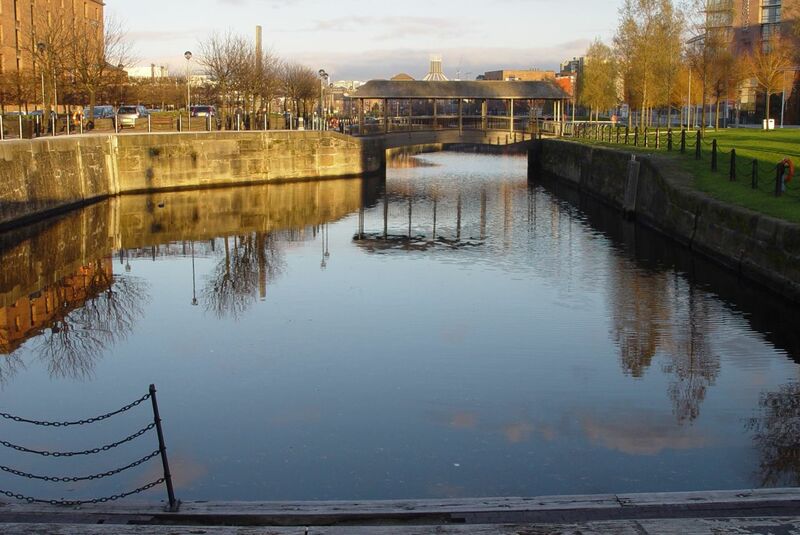 And this was the end destination for his goods which would be brought down the Bridgwater Canal from Manchester. Then across the river on the river craft you see. 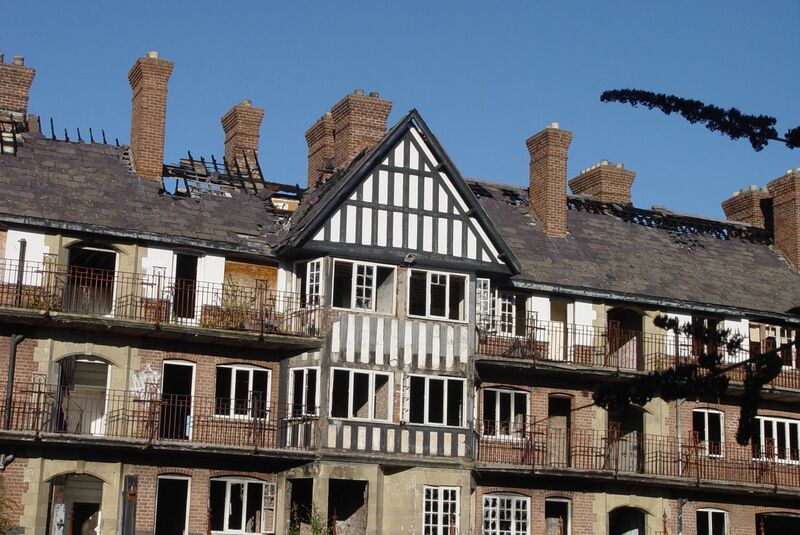 I find it achingly beautiful and so did Quentin Hughes, who I met a couple of times later in his life, who campaigned hard for its restoration, like he did for the Albert Dock too. 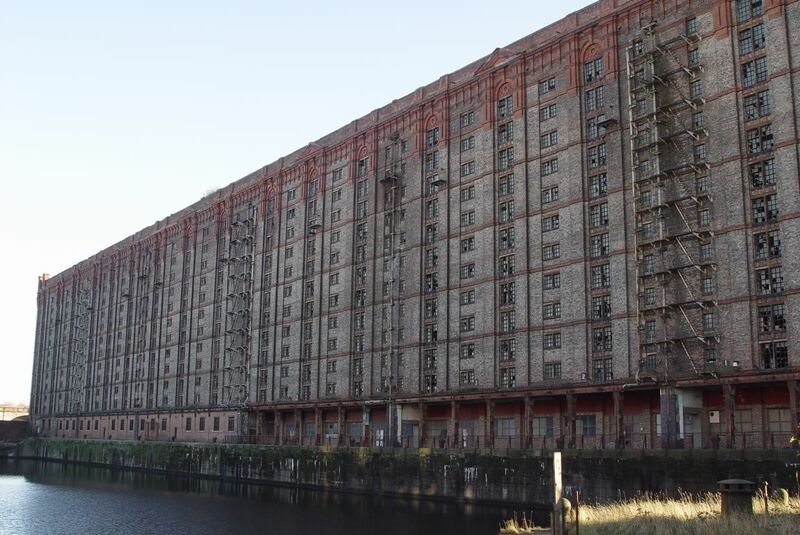 But, having survived the Second World War unscathed, in 1966 it was demolished by the Mersey Docks and Harbour Board for some temporary container storage that was briefly there. Had it survived it might now have looked like this. 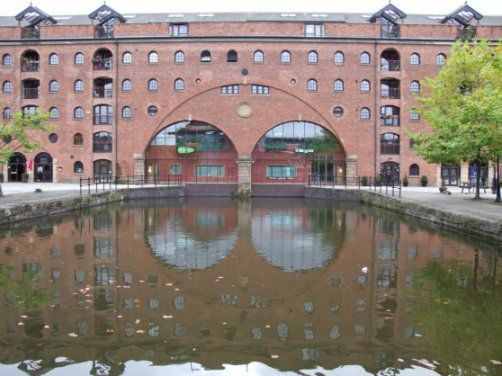 Its ‘sister’ dock building at the other end of the Bridgwater Canal, at Castlefields in Manchester now. What we lost. 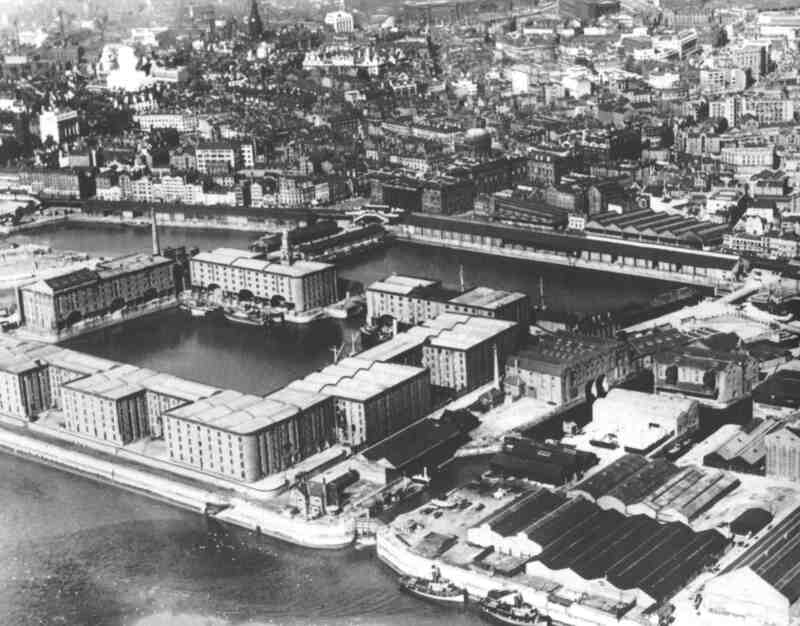 How it looked in the 1920s, Centre-right of the picture, next to the Albert Dock. 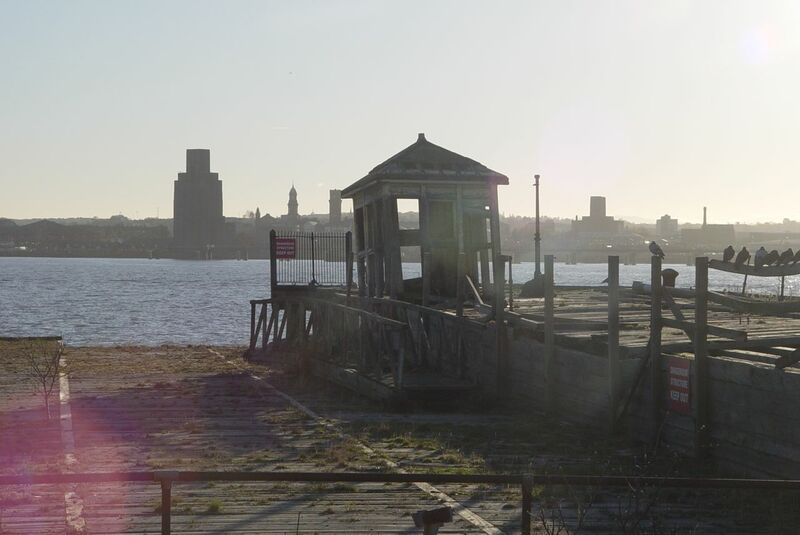 And now, down in the slipways where the boats came in. 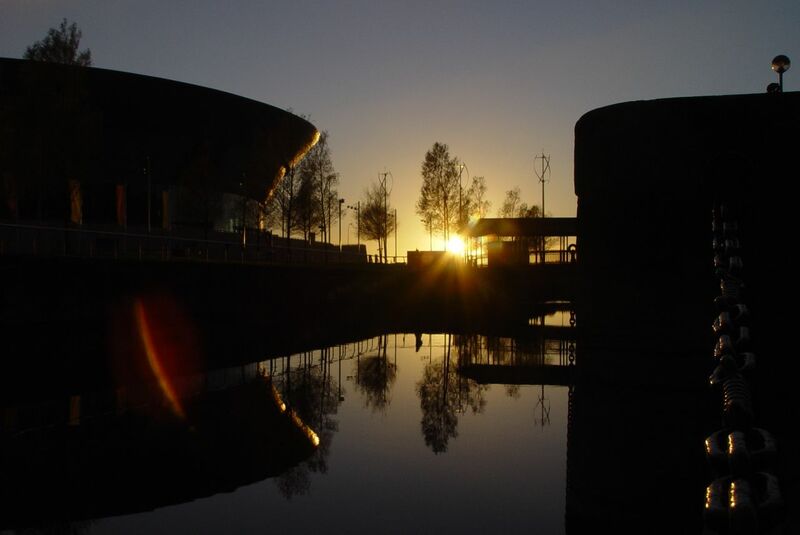 The sun sets on Duke’s Dock. 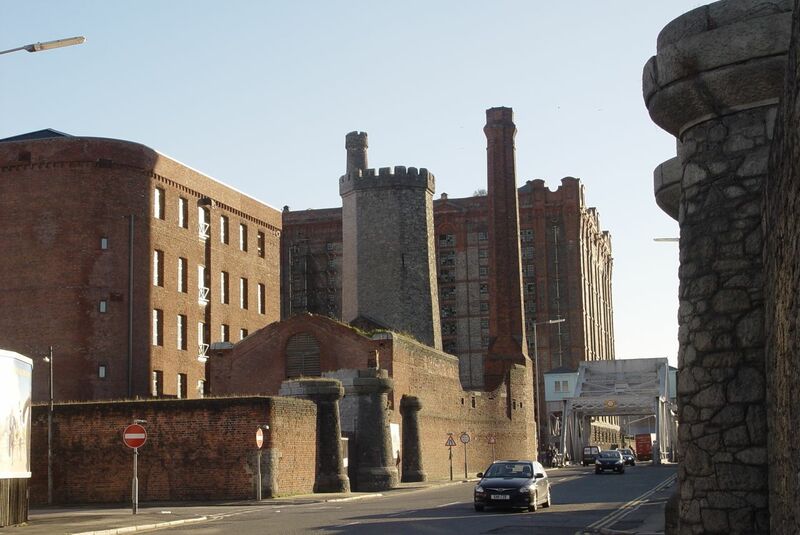 And where the Duke’s Dock Warehouse used to be. A beautiful walk through so many stories, on a gorgeous day. Again, most of the photographs are by me, but obviously in such a historic piece some aren’t. 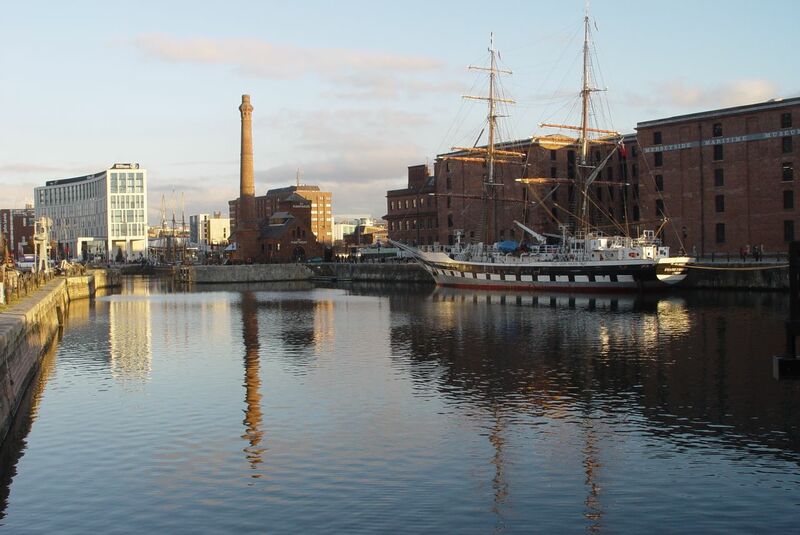 Working in the Stanley Dock is from the Mersey Docks and Harbour Board Collection. 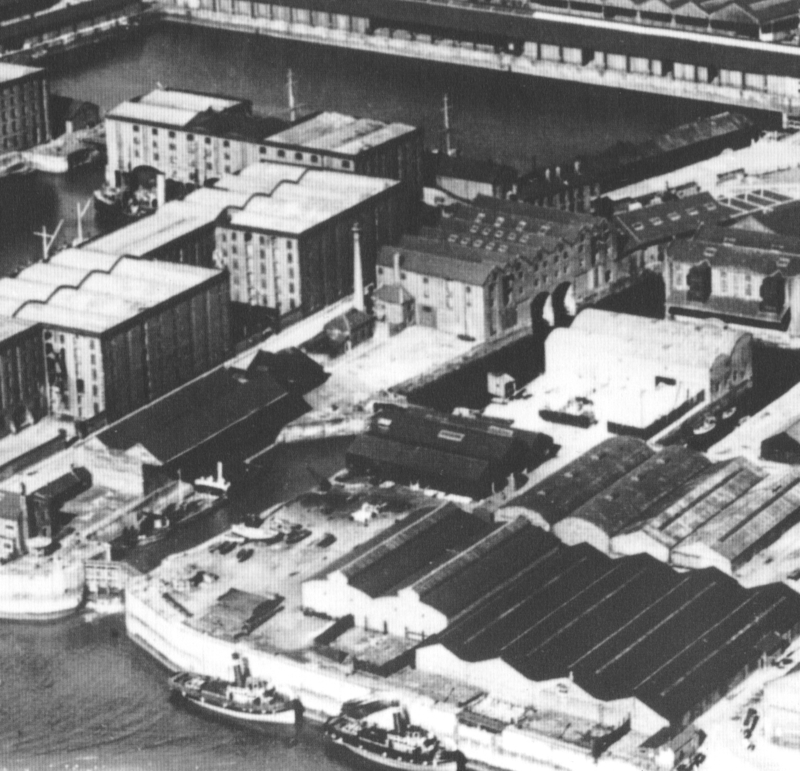 Aerial photographs of Duke’s Dock are from ‘Liverpool from the air’ by Colin Wilkinson. 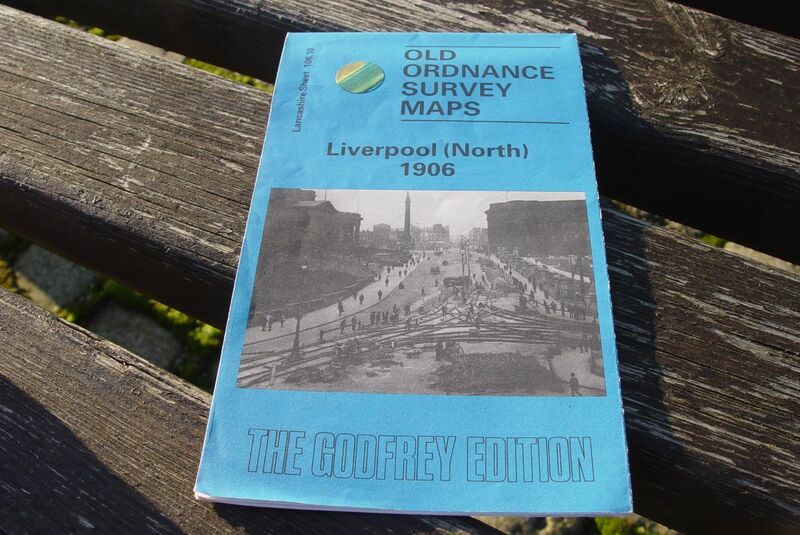 Maps are from the Ordnance Survey Godfrey Edition. 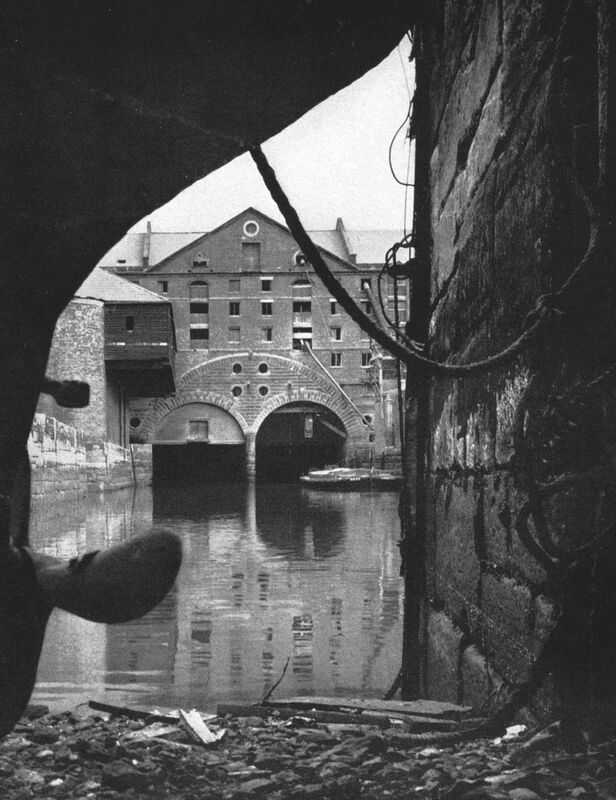 And the other black and white photographs are from one of my most treasured possessions, ‘Seaport’ by Quentin Hughes. It was a gorgeous day,wasn’t it? While you were doing the footwork for this fascinating post I was taking nearly as many photos out at Crosby’s Another Place. 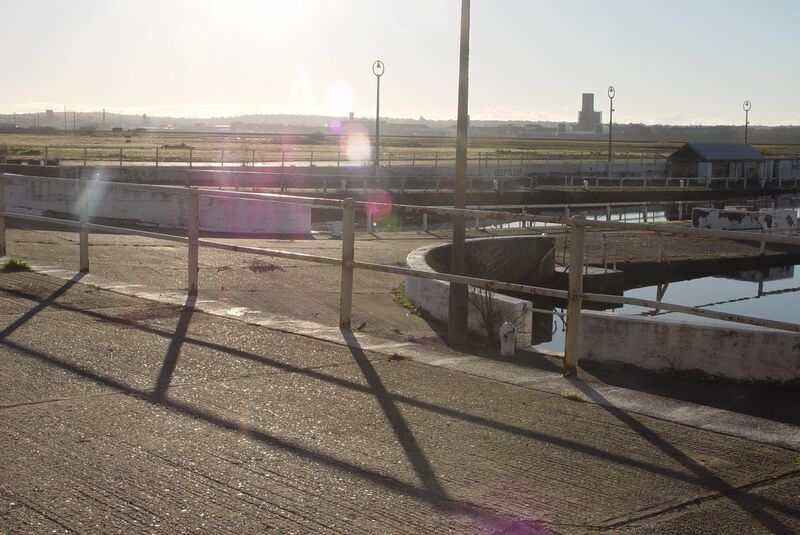 Thanks for two excellent meanders through the history and the present of the north and south docks. You have to seize days like this, don’t we? Hi Ronnie, I’ve just had quick look through this one as its late, you keep reminding me of things I’d forgotten about eg India Bldgs. Do you know why its called India Buildings plural, my father in laws family were the caretakers an awful long time ago and the arcade was actually a street and the two buildings became joined as one. I will relate another story re this to you later. 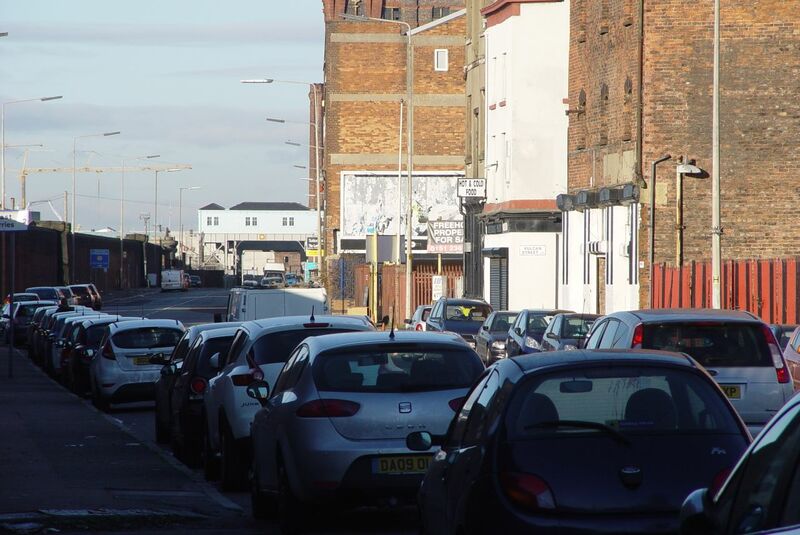 Summer Seat, I worked that area as an ambulance driver and I was fascinated by its history eg the first tenement block built in that area, and of course eldon street everyone knows by now because of the Eldonians. 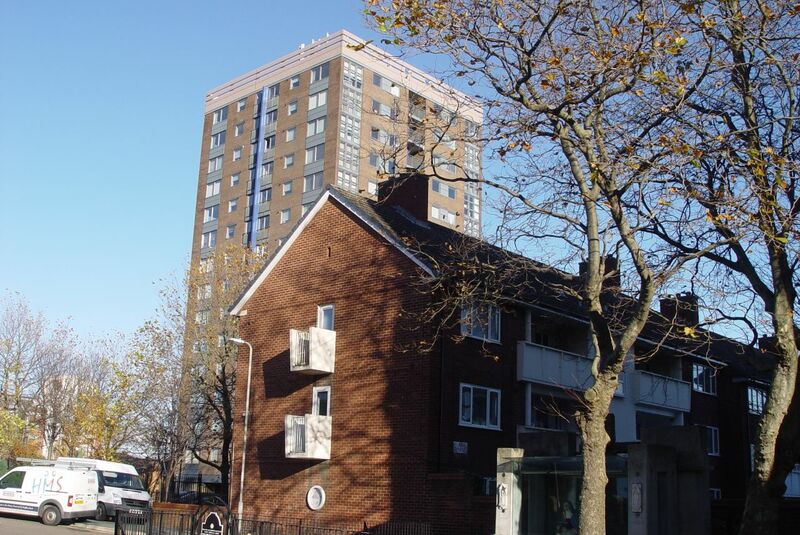 The tenement block you show derelict, I worked with lads from there in the fifities when I was a trucker labouring in Hutchinsons flour mill, Burlington Street, facing Tate and Lyles. So tomorrow my friend I will have a closer look at this one. Another great read Ronnie, I was just wondering which of the north docks did you manage to get in to have a look around? I presumed they were all under lock and key now that Peel owns the land, I’ve been wanting for a few years to go around them and have a good nose. Hi Michael, I got into the Bramley Moore and Clarence Graving. But even in them, once inside there was fencing around the various businesses in there. So not much nosing about to be done. Perhaps Peel could organise some facilitated nosing about before serious building works break out? Thanks for that Jon, I’ll go and look for the door. What a great piece, Ronnie. So much interesting history here. So saddened to see Eldon Grove, once clearly a shining example of philanthropy in action, now imprisoned behind a hideous wire fence. Left to rot. 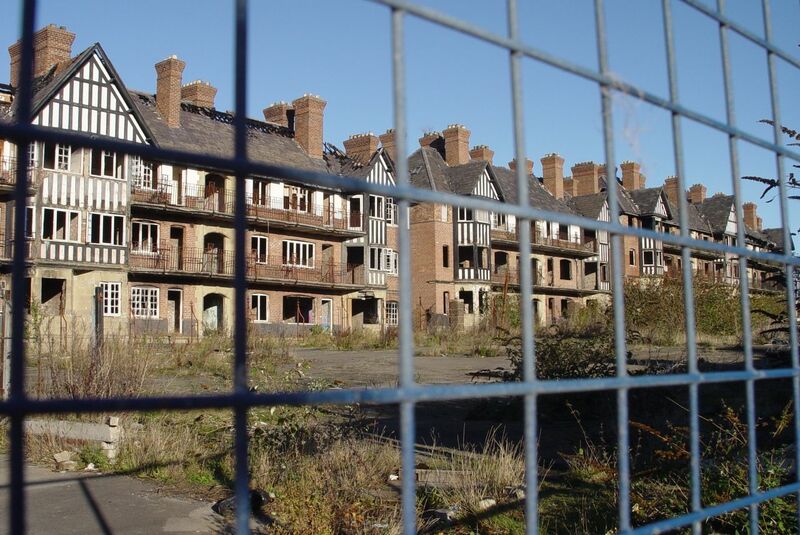 I suppose there’s no possibility it could be freed up for community housing – participative reconstruction by those most in need of a place to live? A bit like the successful Hedgehog project in Brighton? Probably not….! Hi Lindsay, good to hear from you. 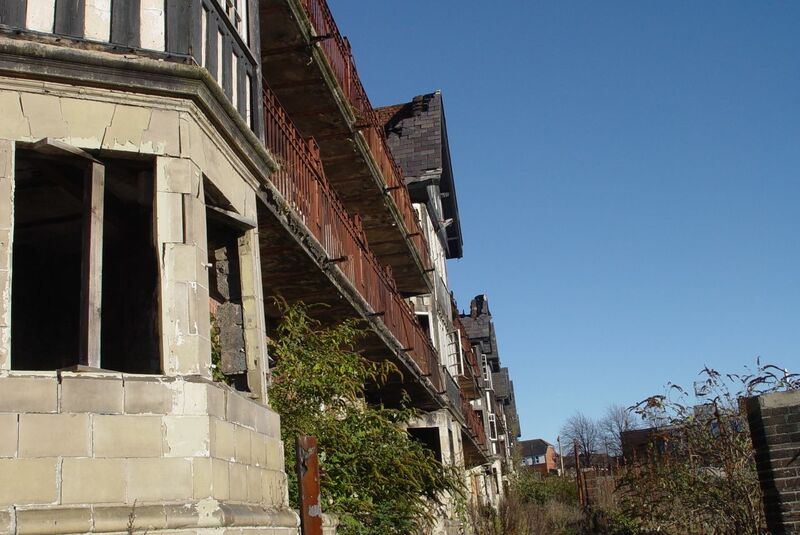 The Eldon Grove pictures here have caused quite a stir, particularly on Twitter. Many people were unaware of it, as the road it’s on doesn’t now lead to anywhere (since the ‘new’ tunnel’s construction 40 years ago!) and so few people pass by. 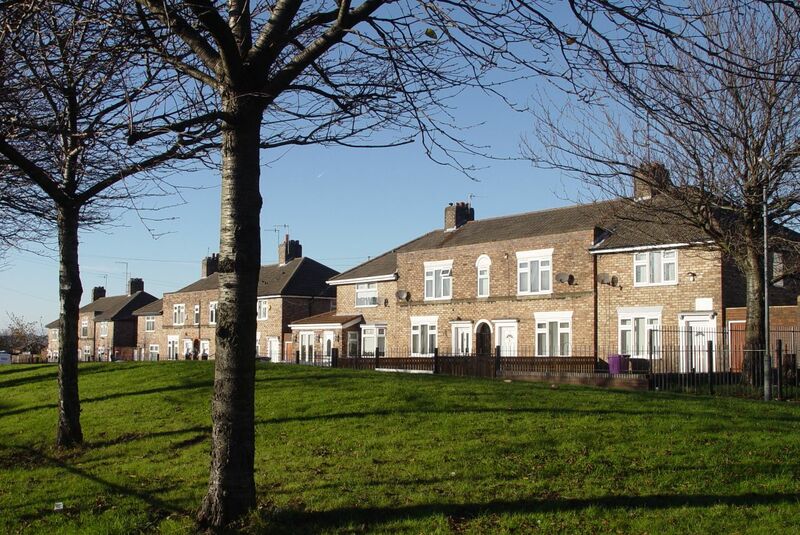 But it’s a precious Liverpool gem, it’s listed and, old as it is, it’s newer than the terraced houses many of us in Liverpool live in and should not be at the end of its days. The area where it is has mostly new housing now and, I feel, seriously needs to keep the few bits of urban grain it’s got. I’m visiting Liverpool this June with my family and this post’ll definitely be printed out and referenced frequently during our all-too-brief tour of your city. Found you through the Seaport/Quentin Hughes reference. I’m looking for an affordable copy here in the States (but not having much luck). Good to hear from you Geoff. 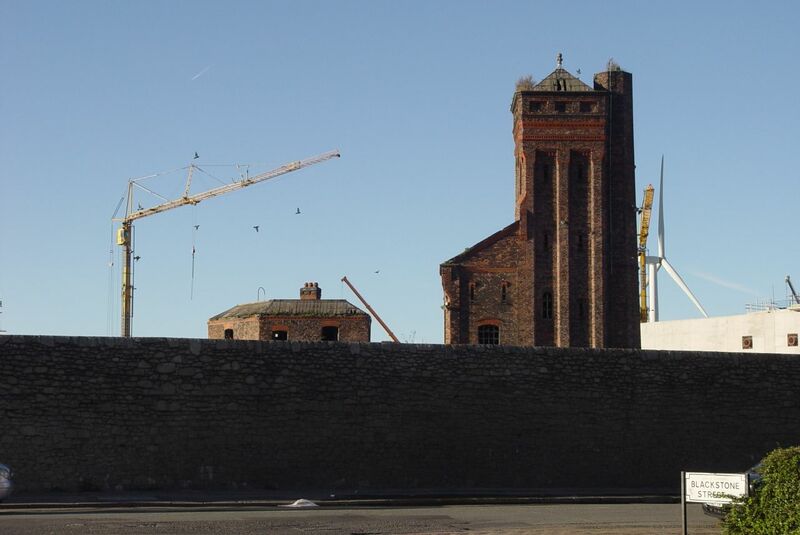 If you were coming here a month later you could have stayed at part of the Stanley Dock that’s opening as a hotel in July. Sure you’ll enjoy yourselves anyway. Here are a few copies of Seaport I’ve found for around $20 from Abe Books. Thank you so much, my father worked on the tugs, I often accompanied him hotbanking over the weekend, so my recollection of the docks in the early sixties is vivid. We emigrated to Australia in sixty seven, while I have had a number of opportunities, I have never come home, so sad what has transpired over the years, so much destruction, too much lost of this greatest of all cities.